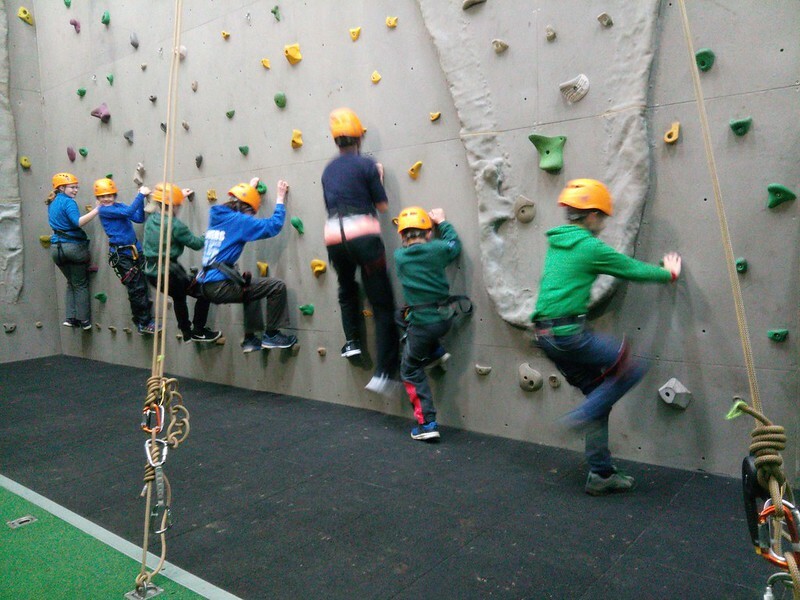 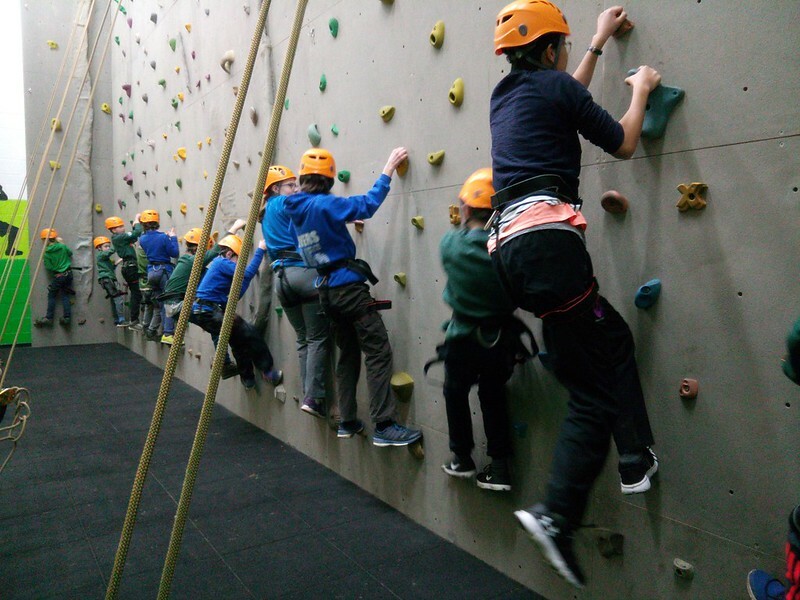 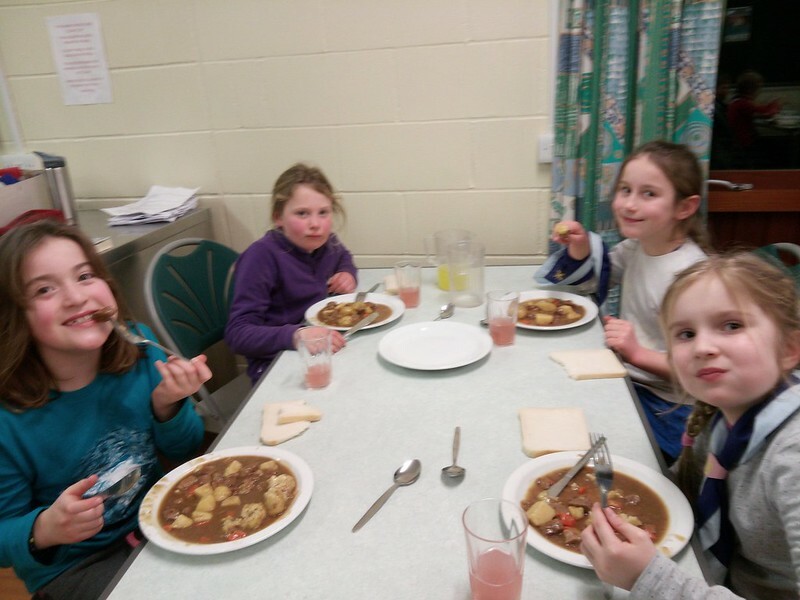 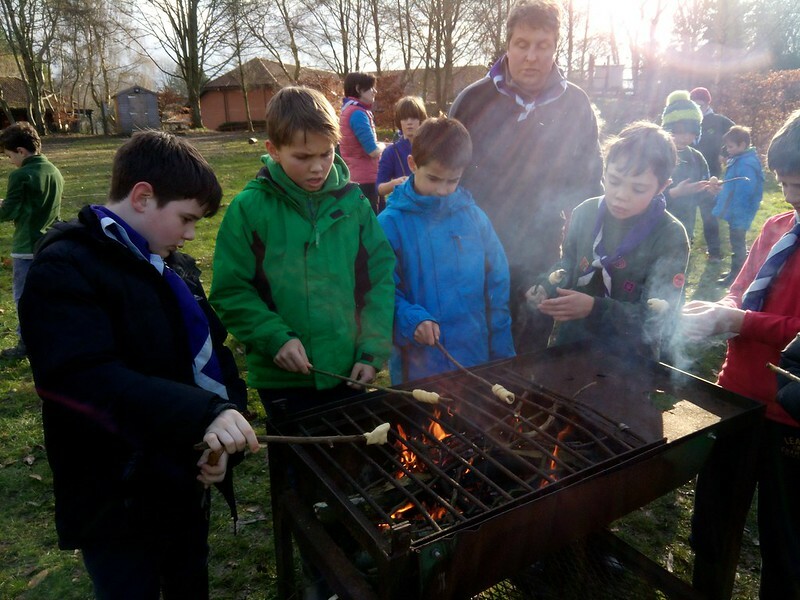 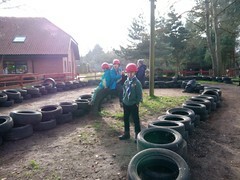 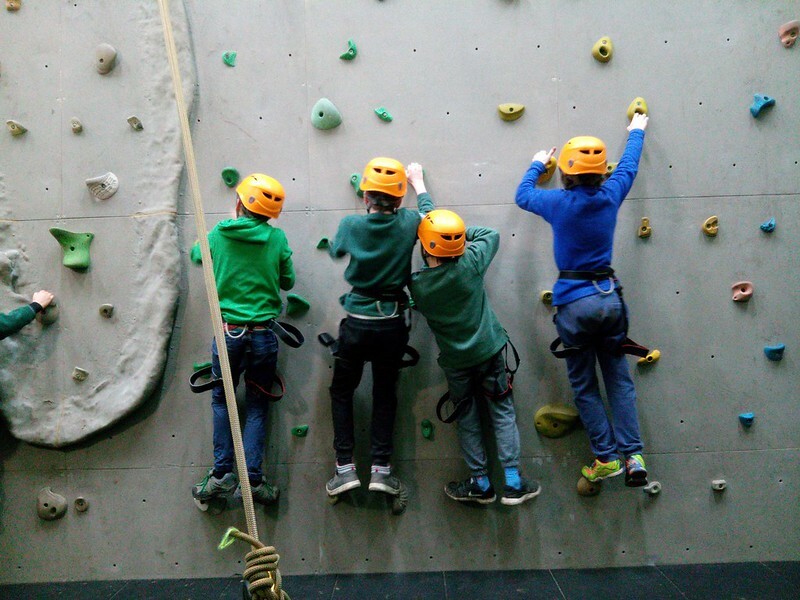 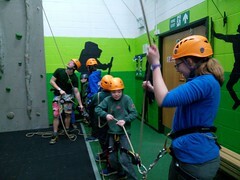 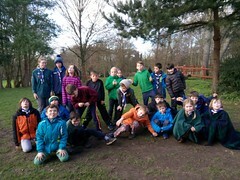 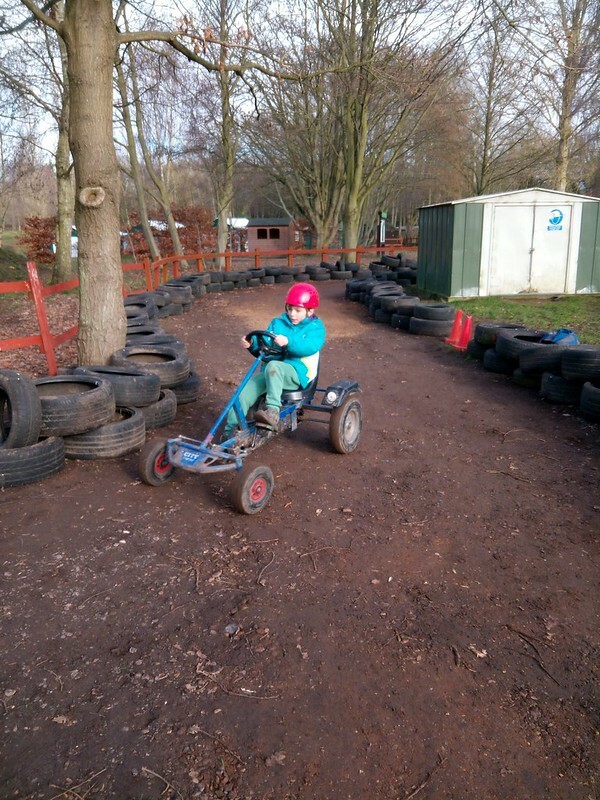 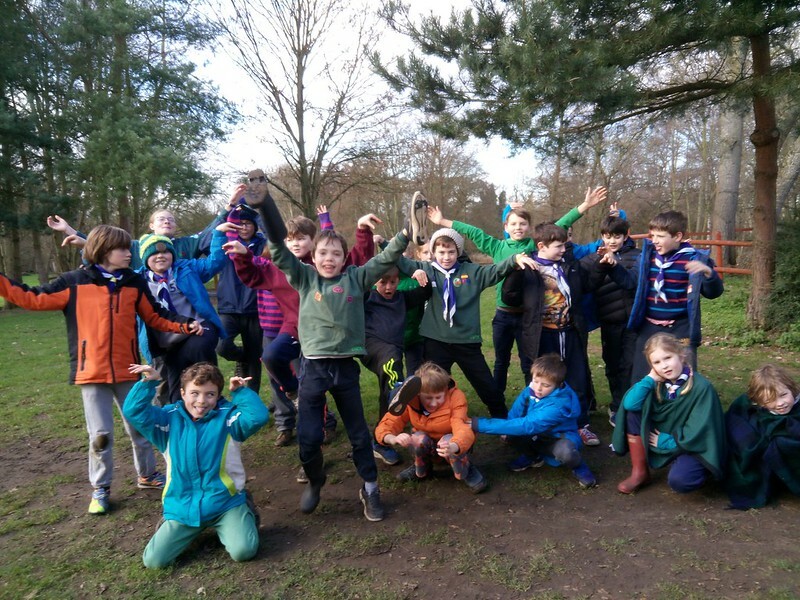 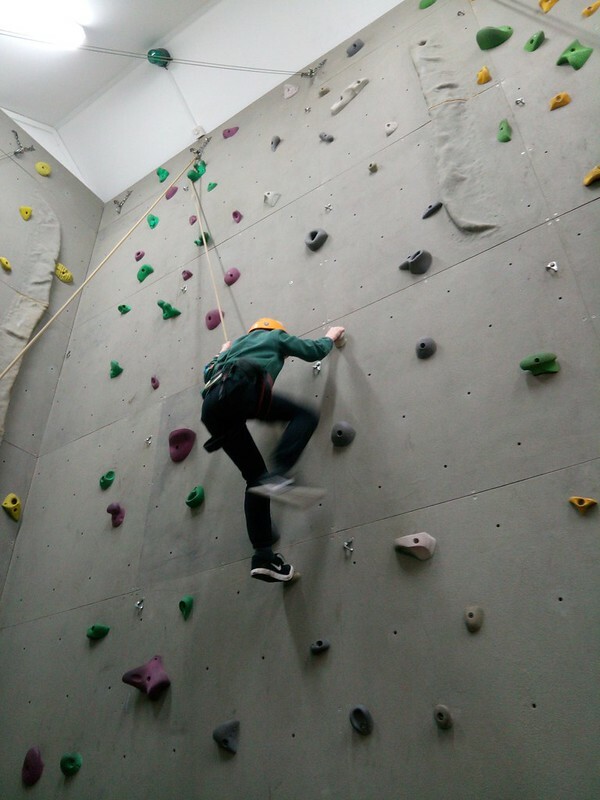 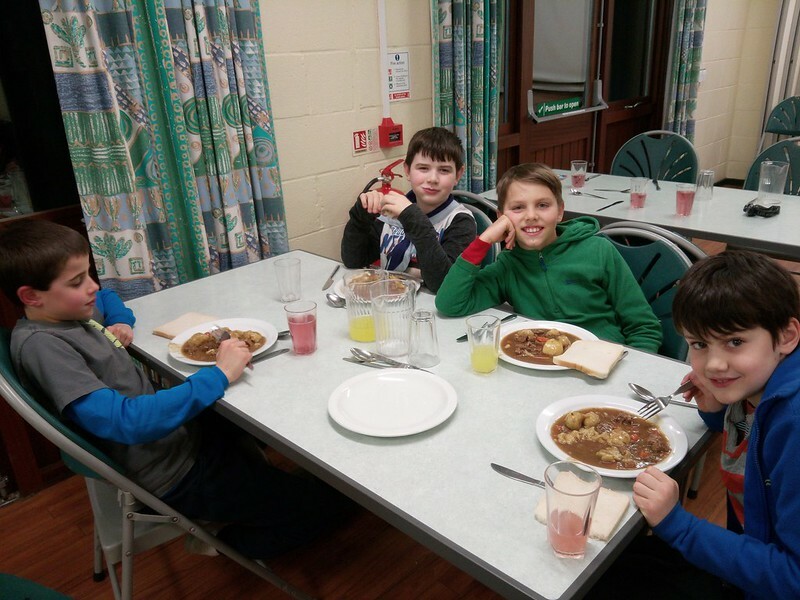 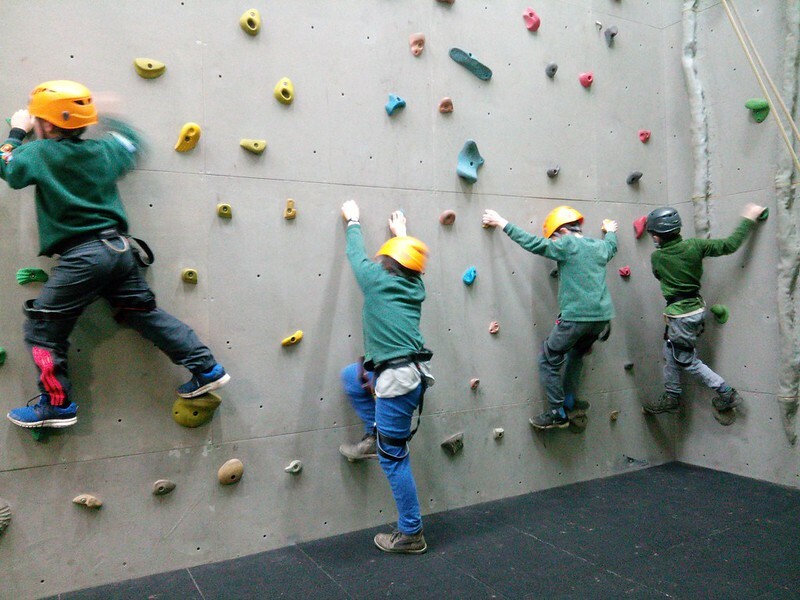 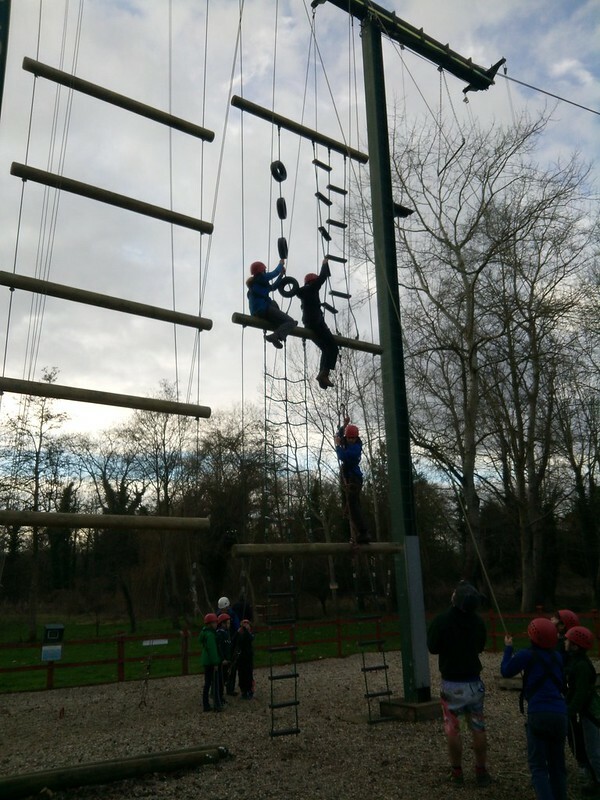 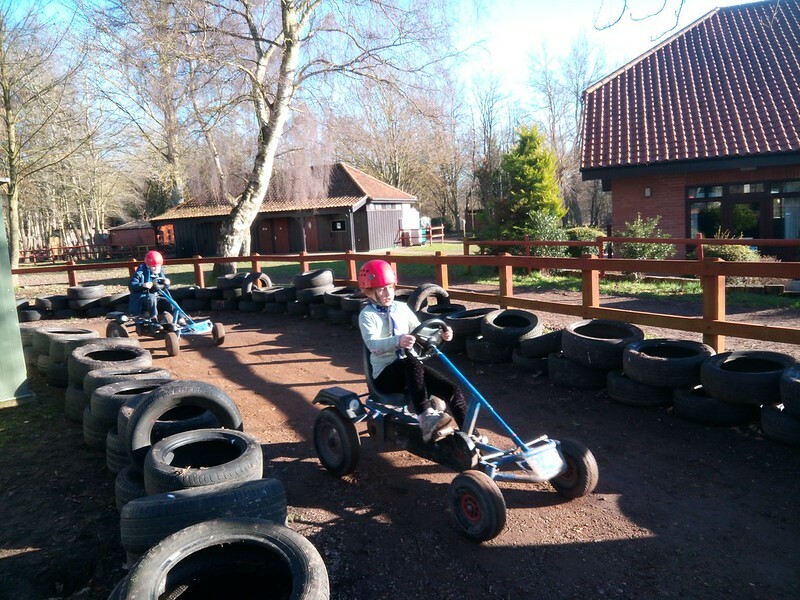 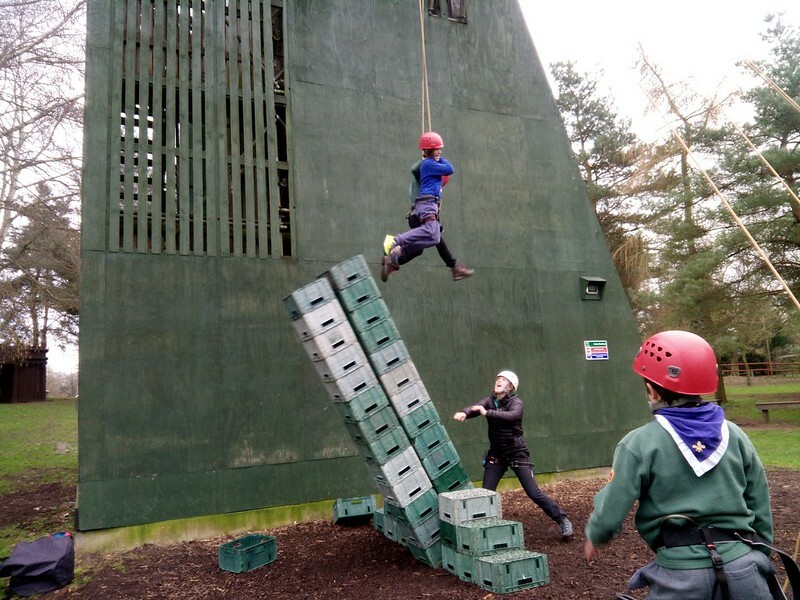 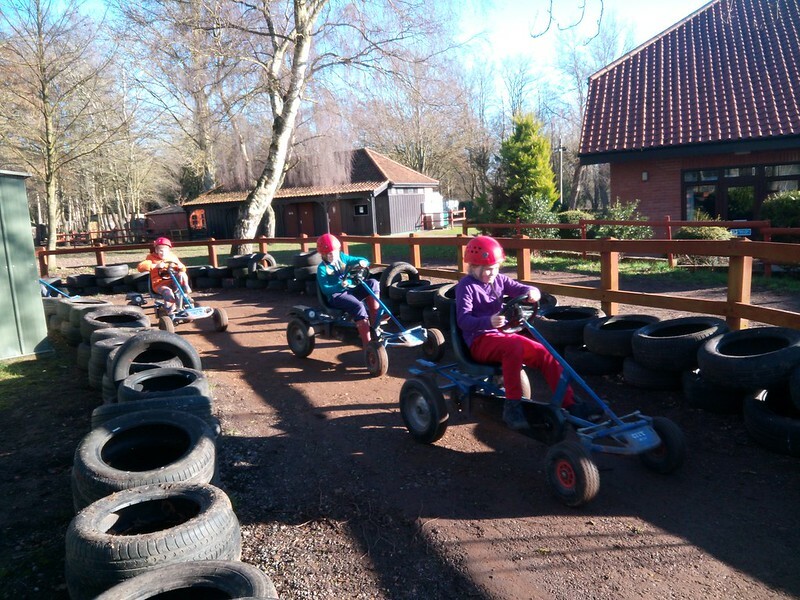 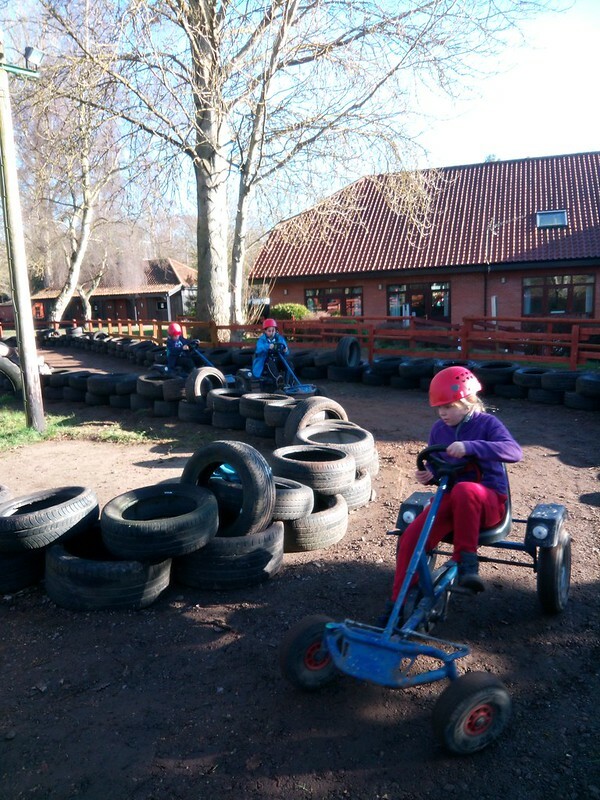 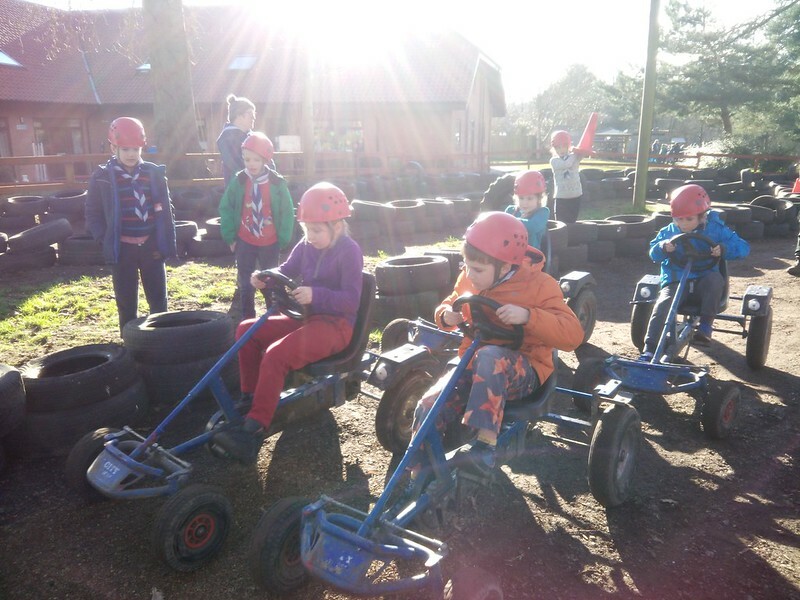 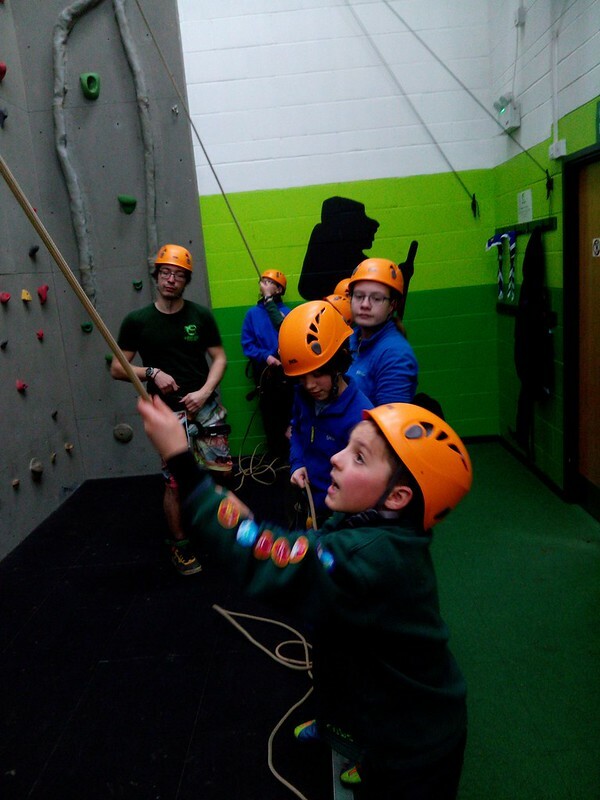 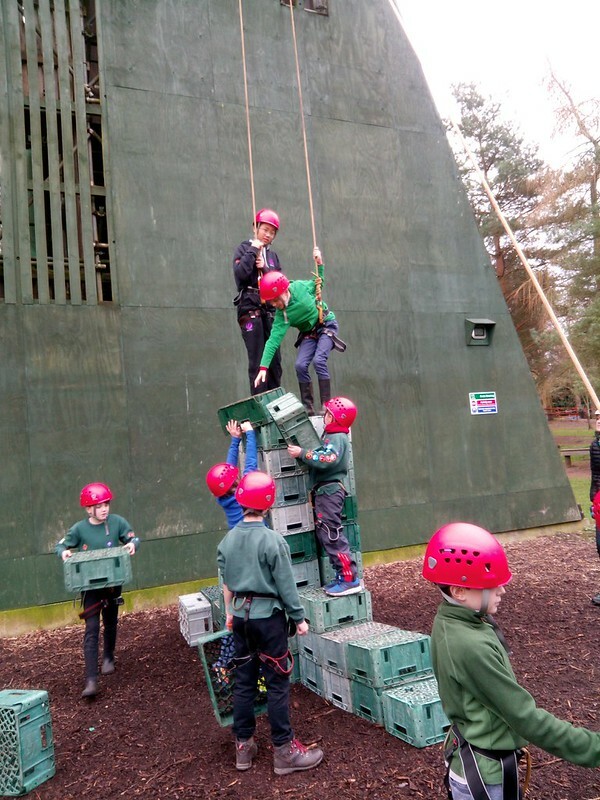 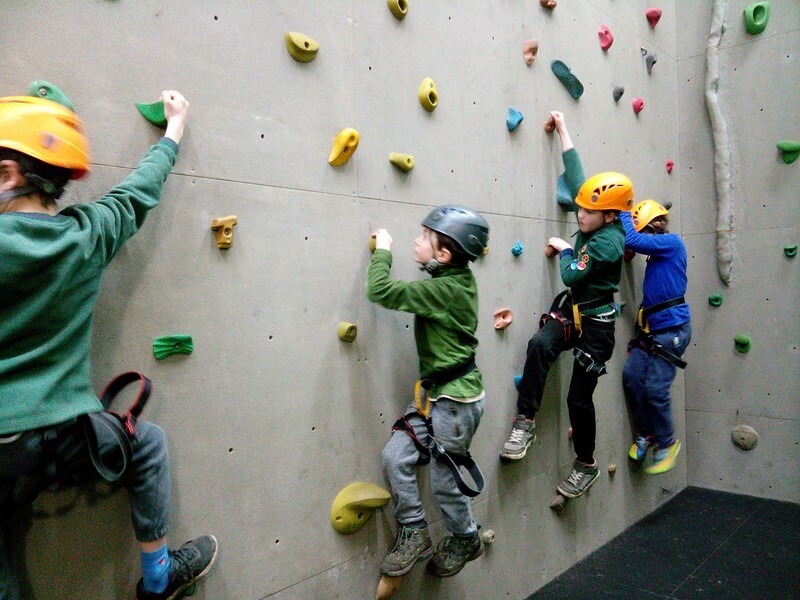 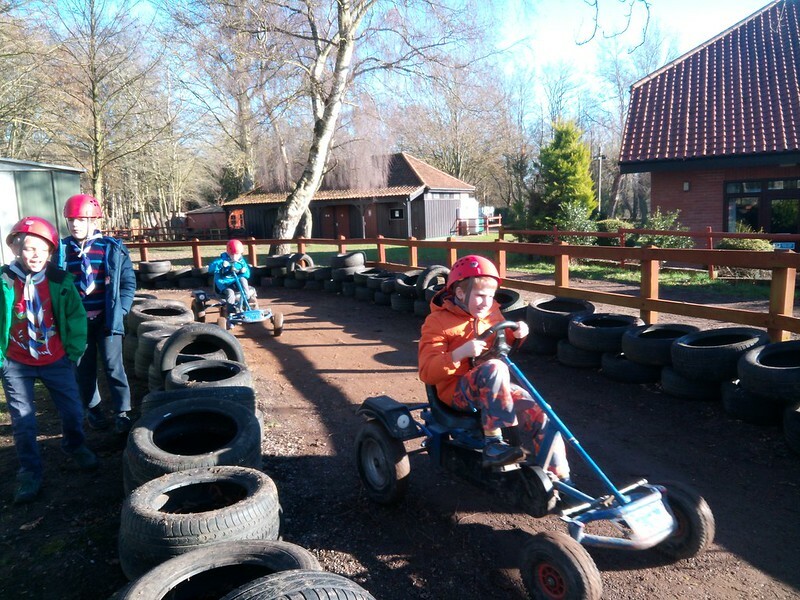 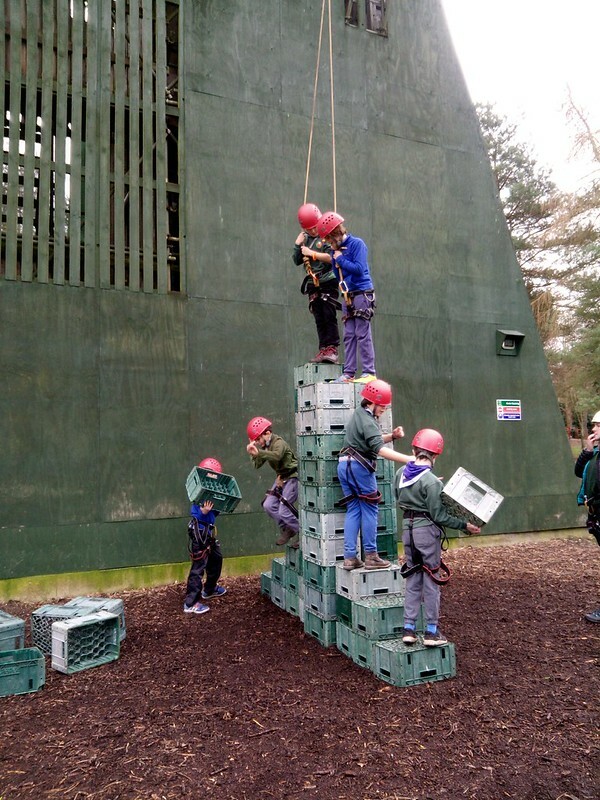 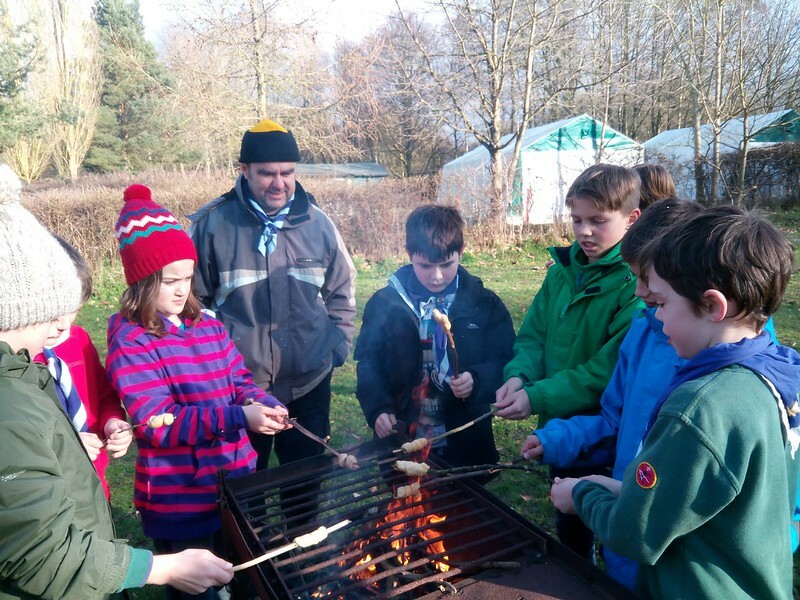 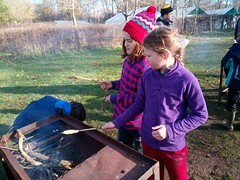 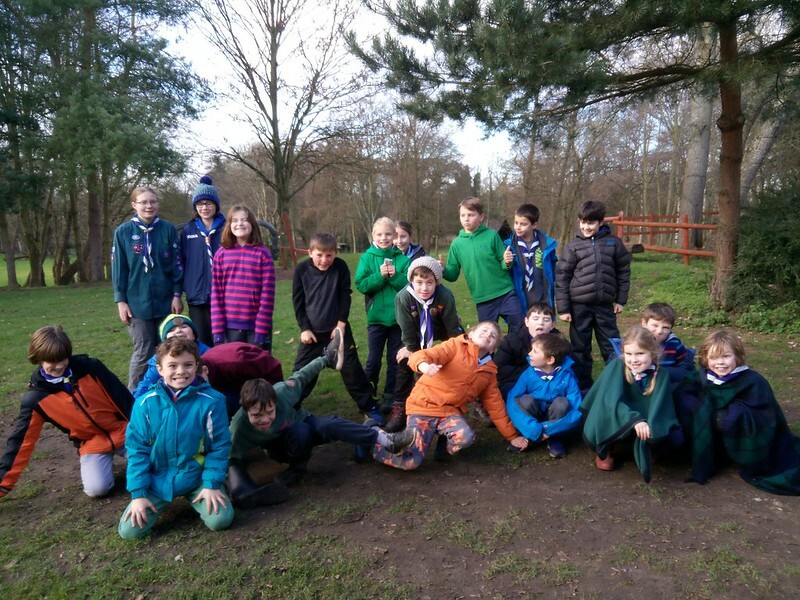 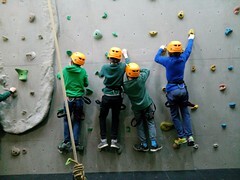 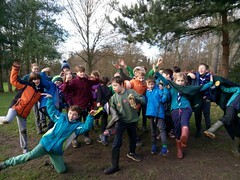 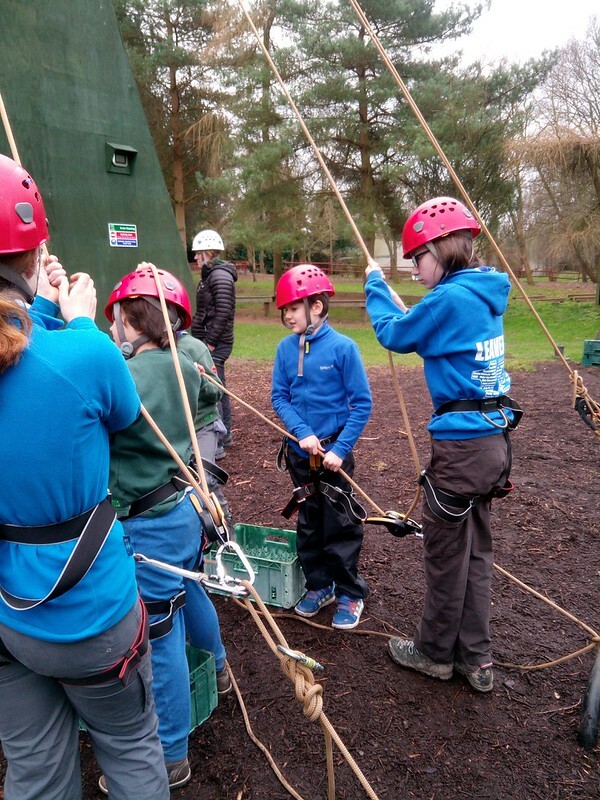 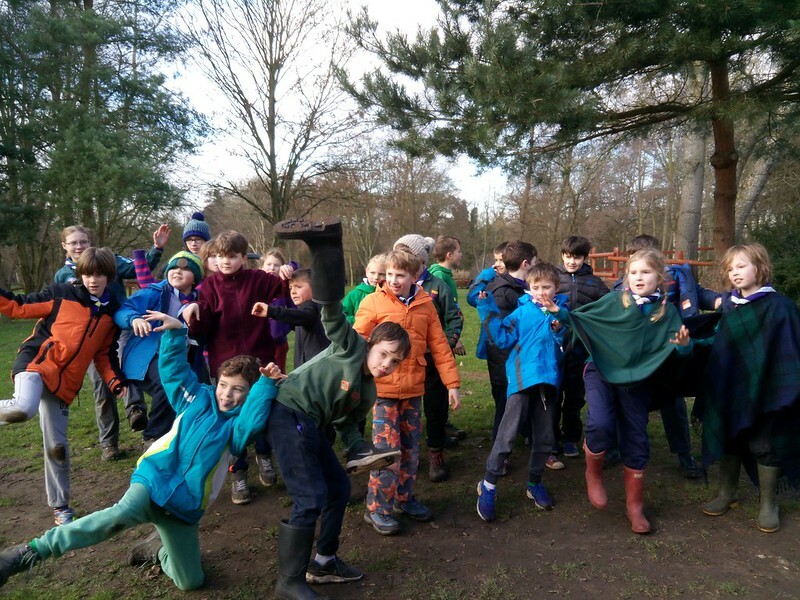 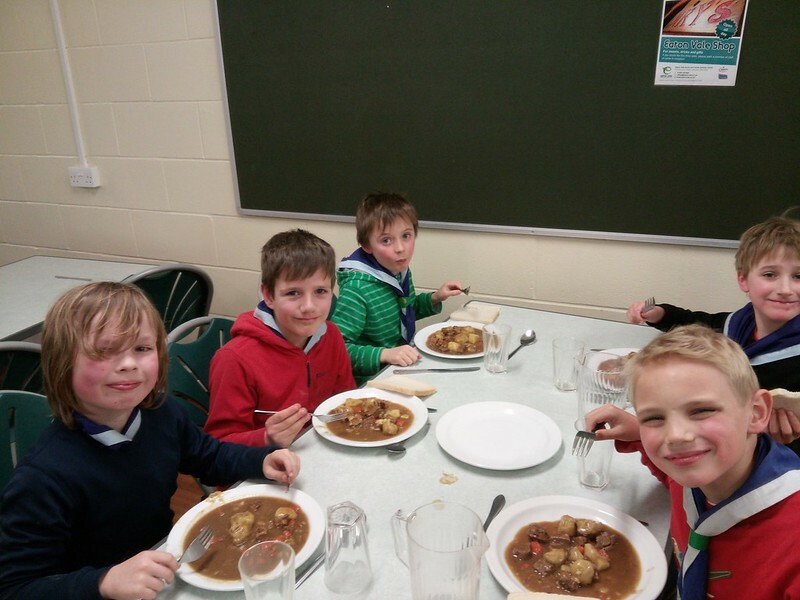 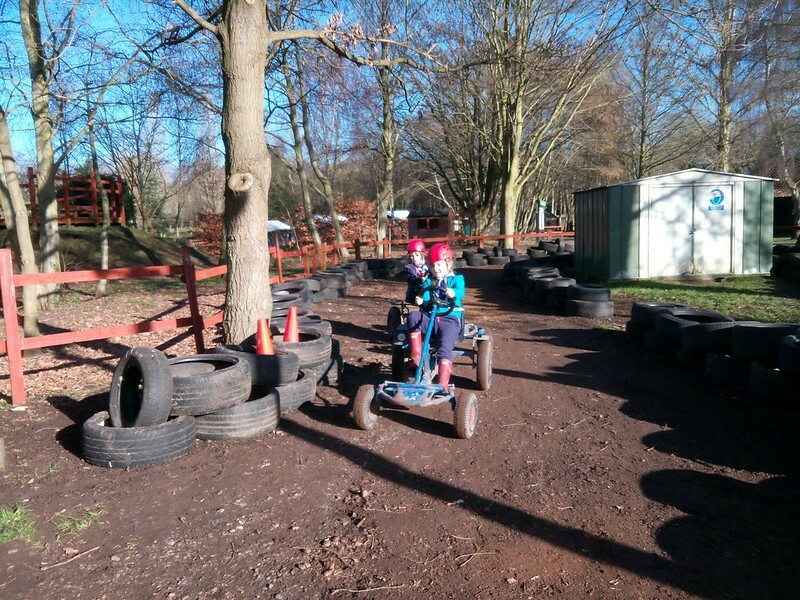 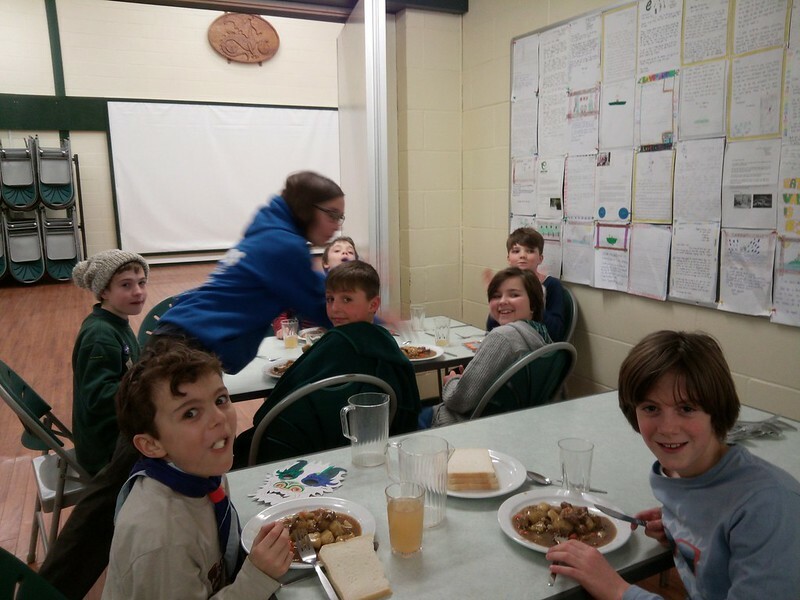 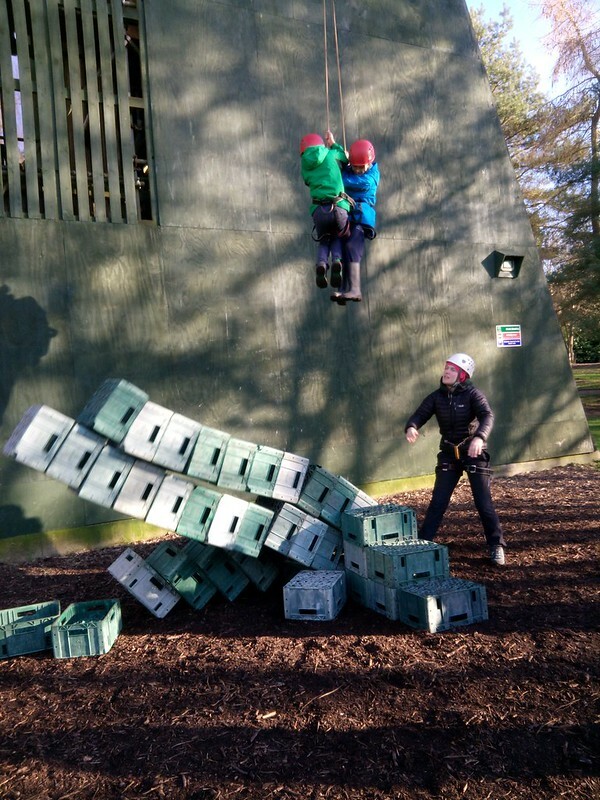 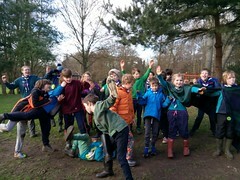 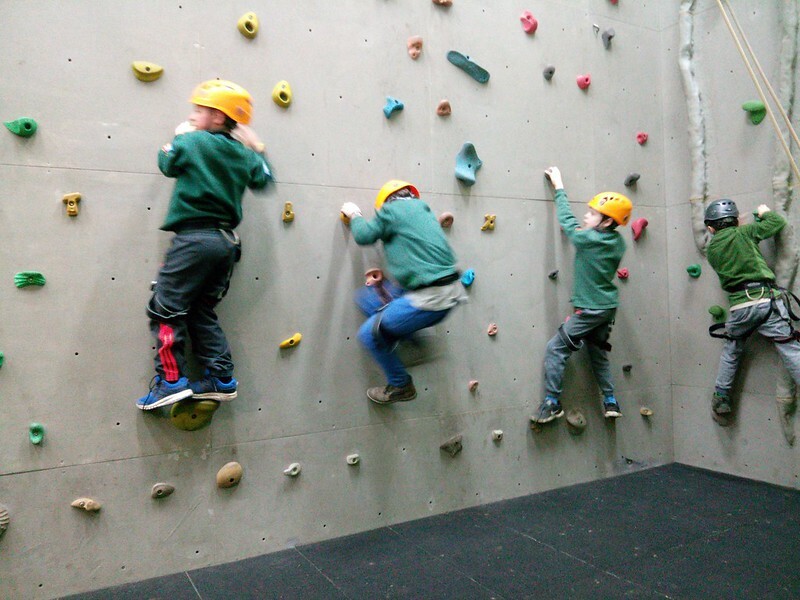 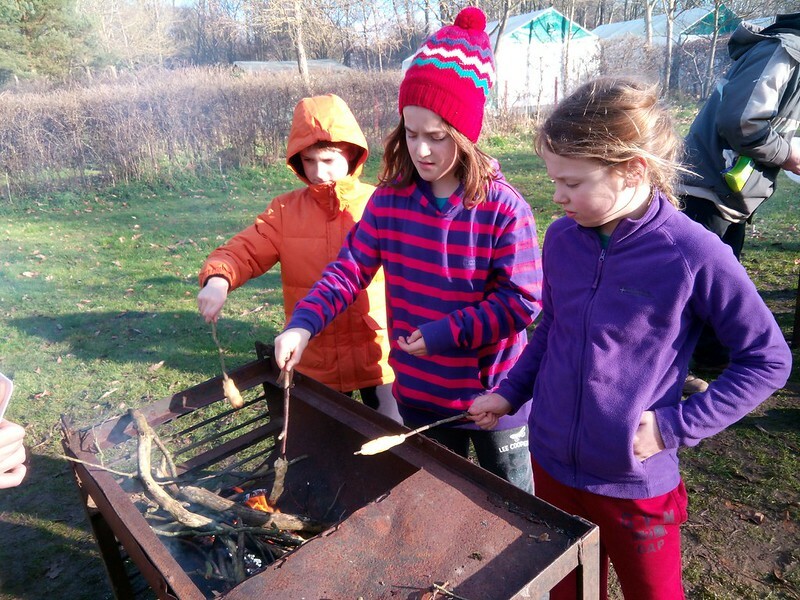 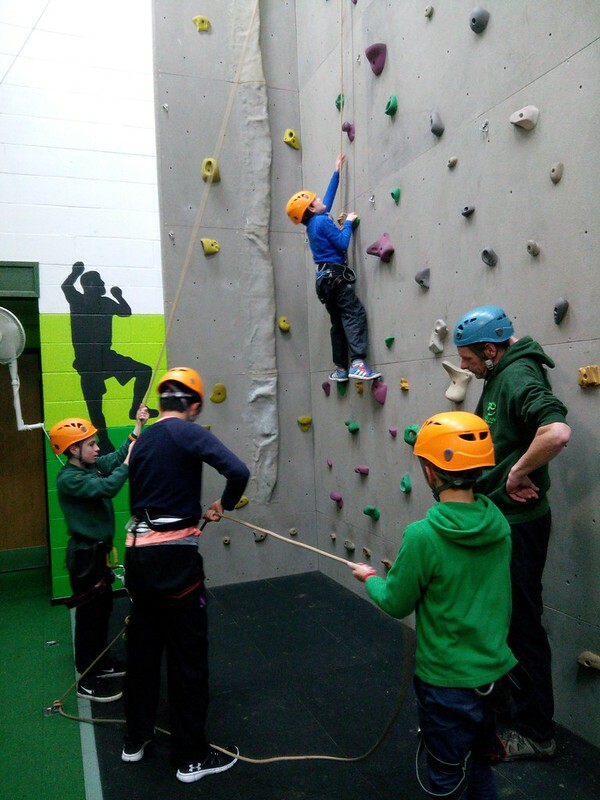 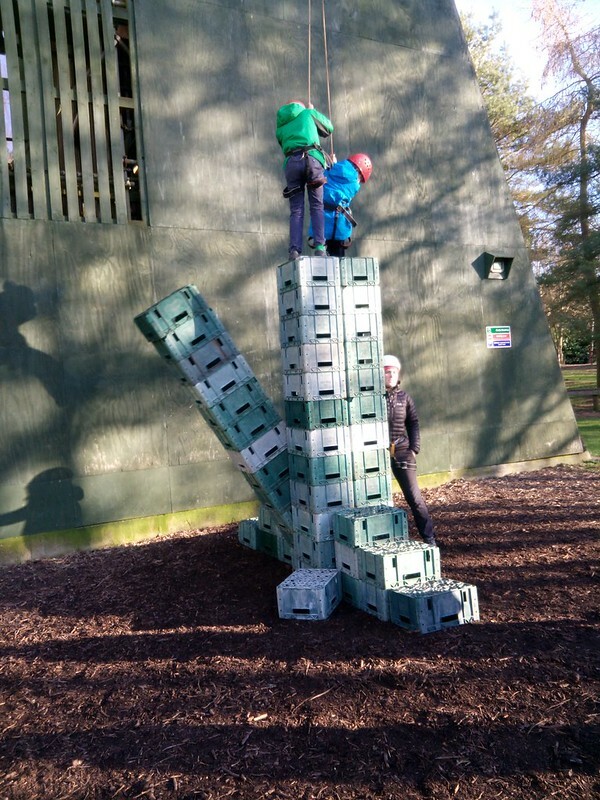 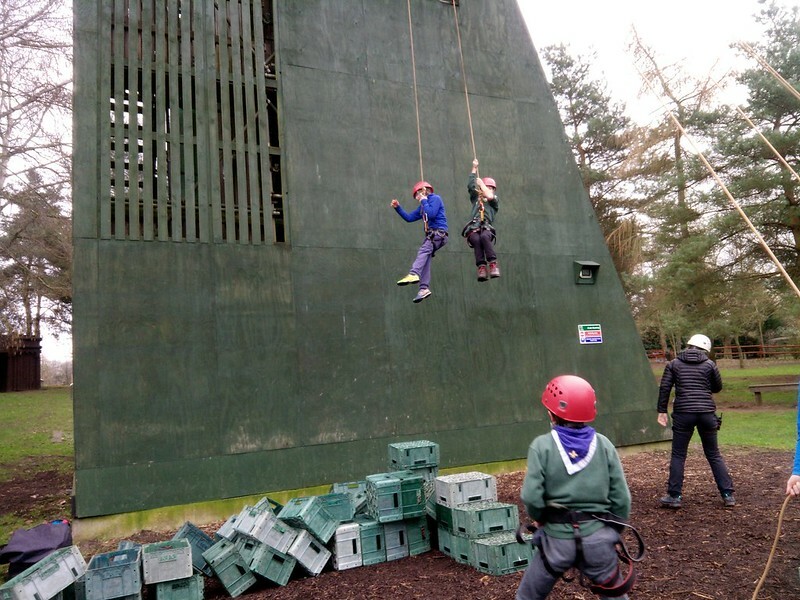 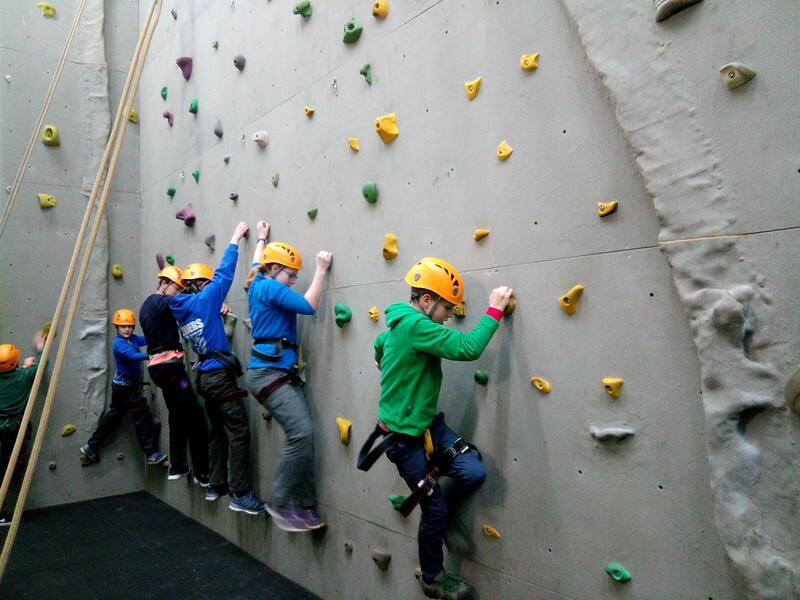 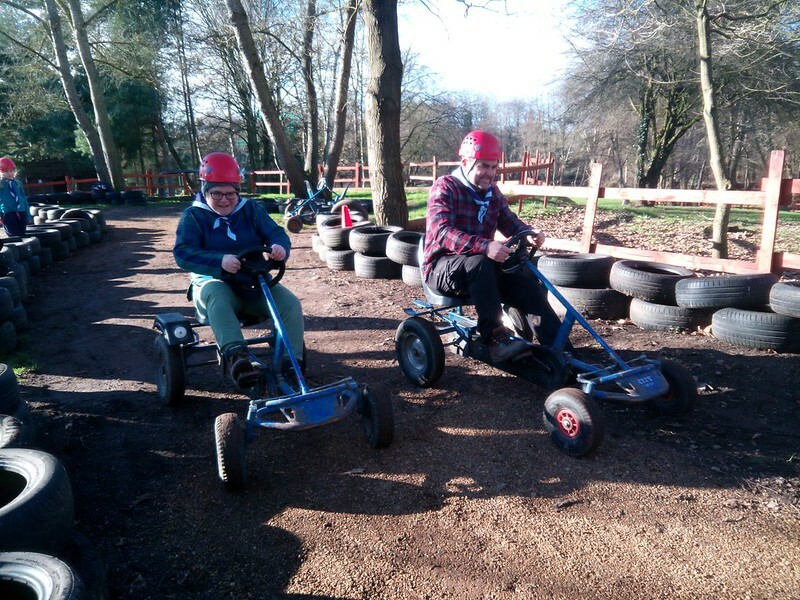 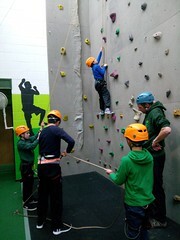 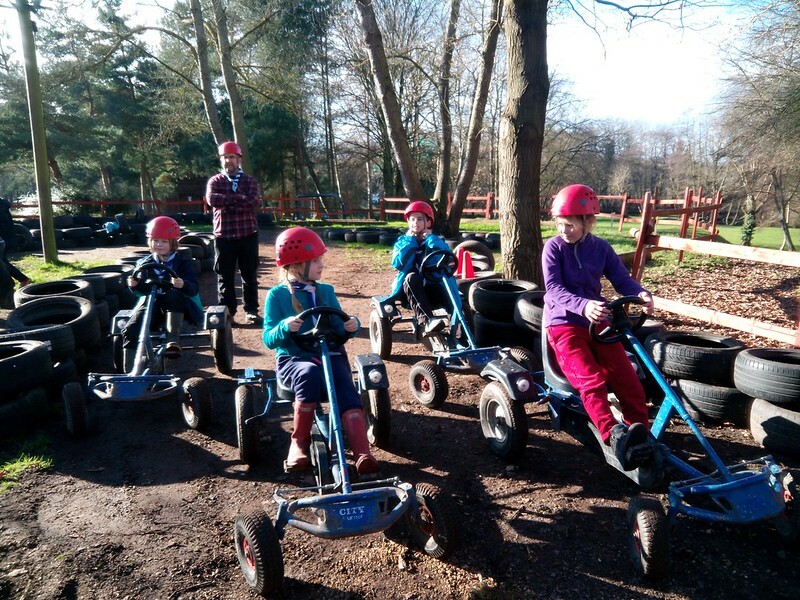 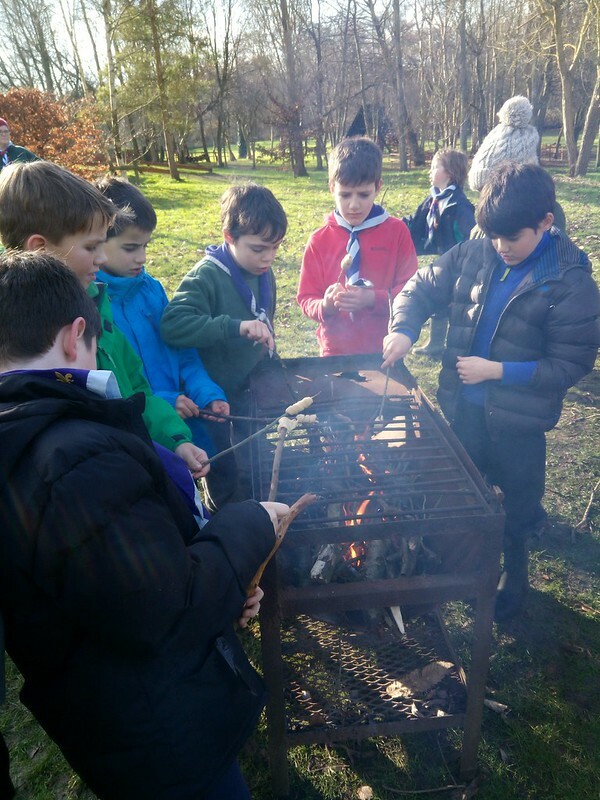 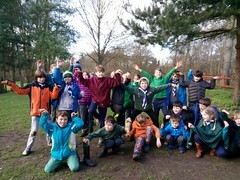 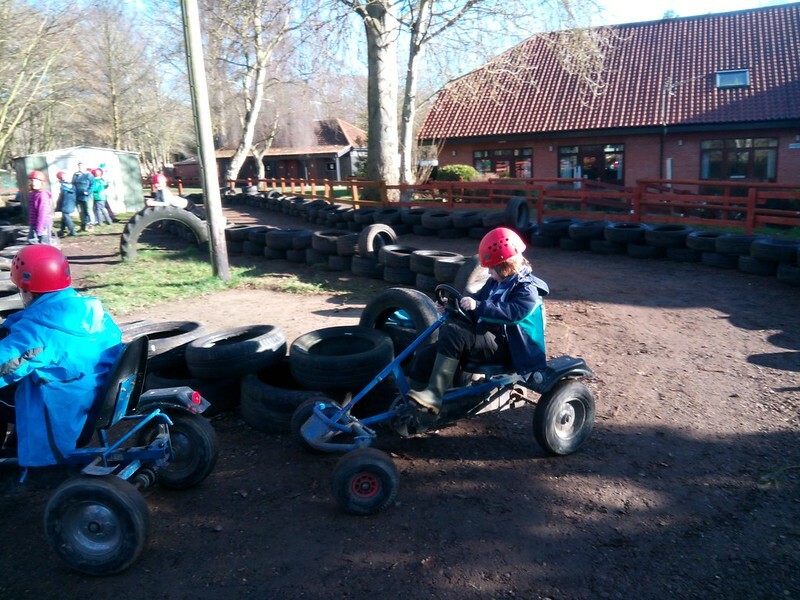 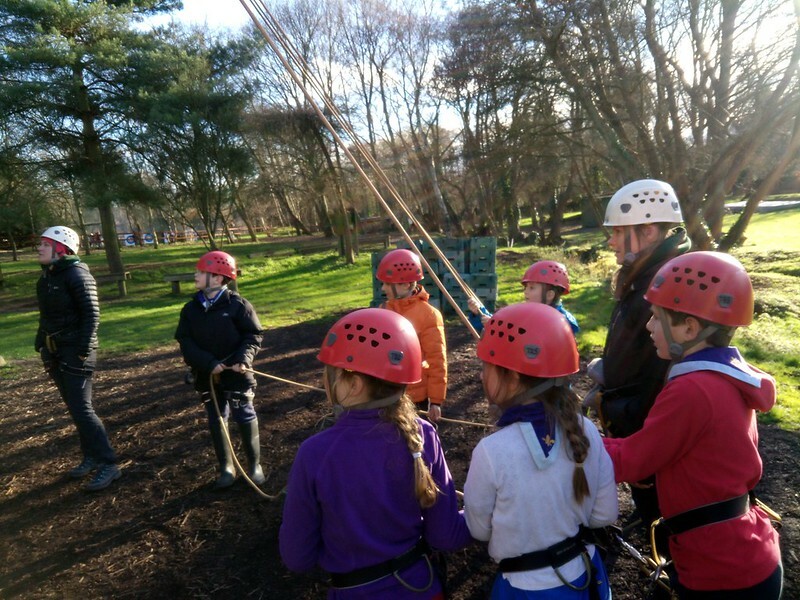 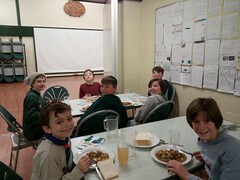 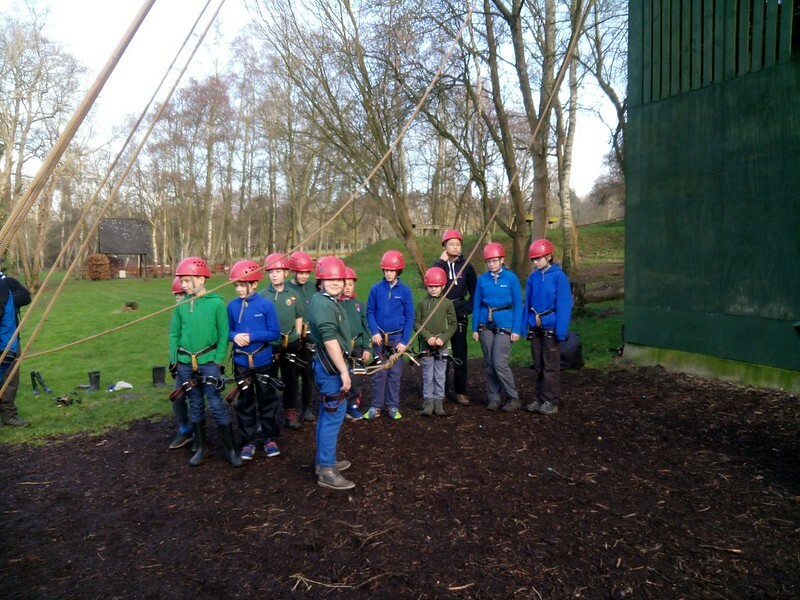 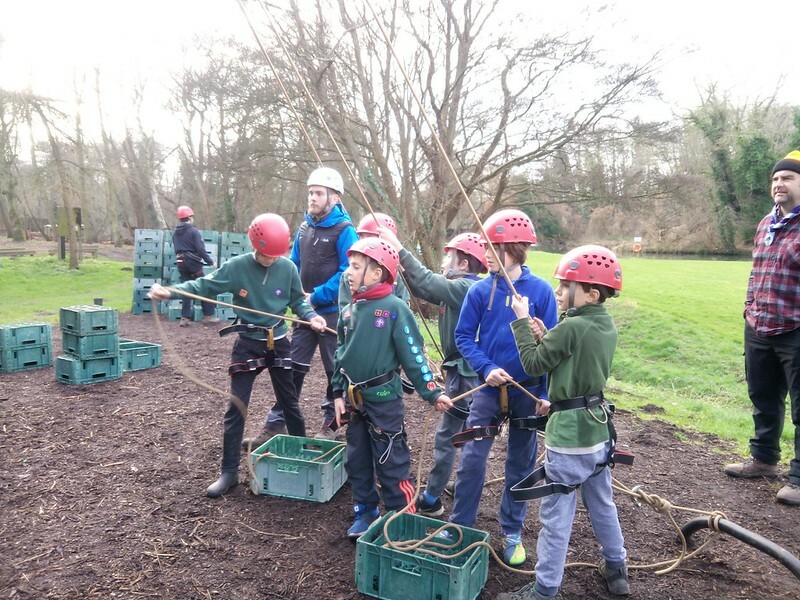 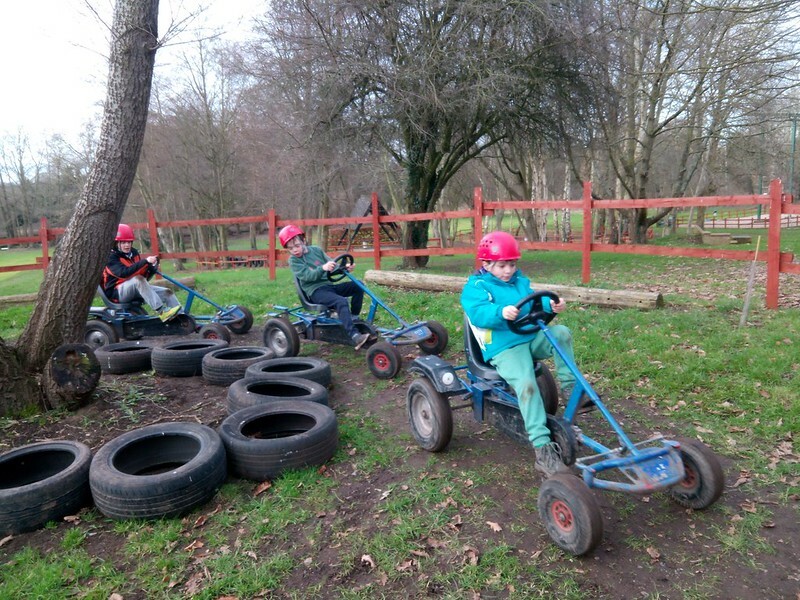 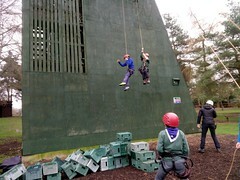 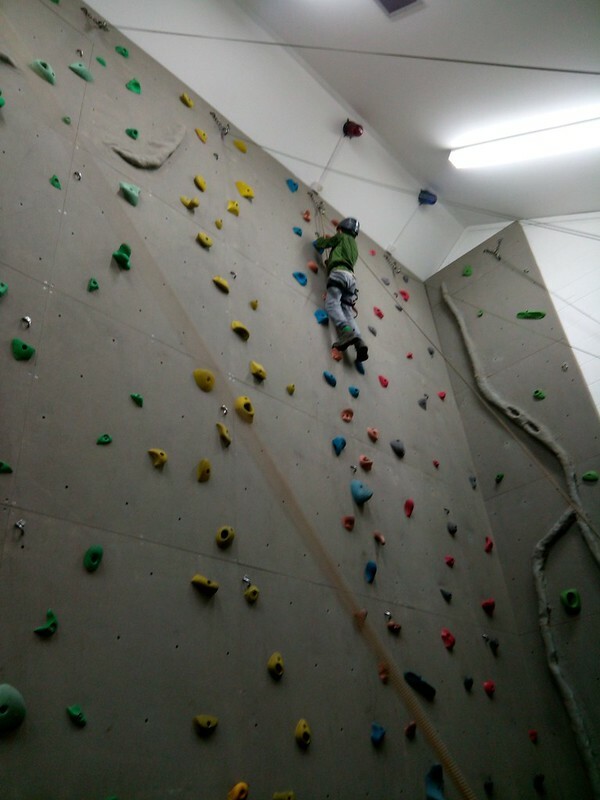 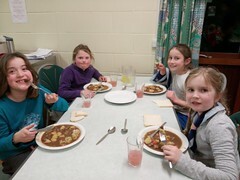 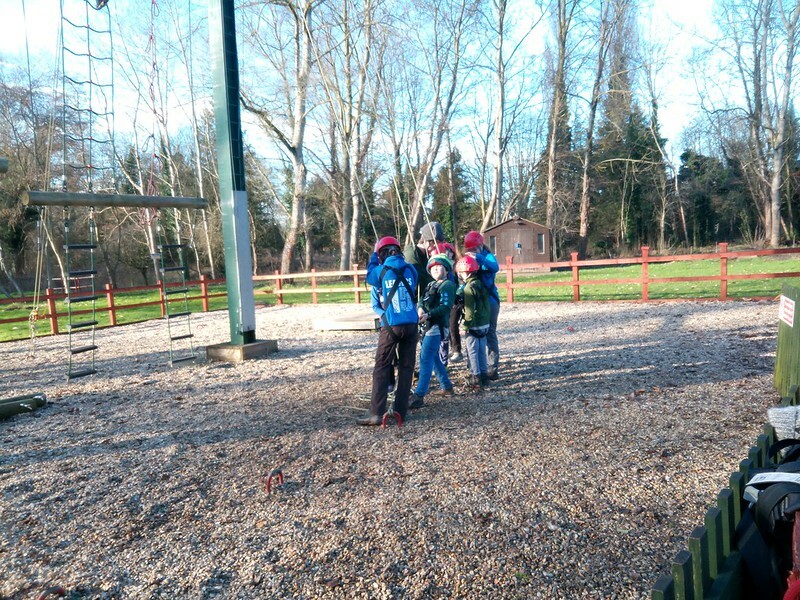 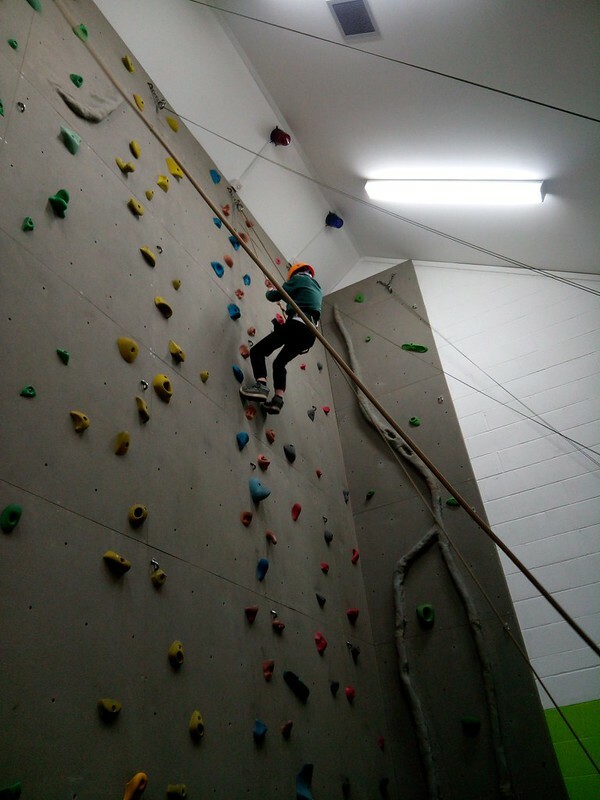 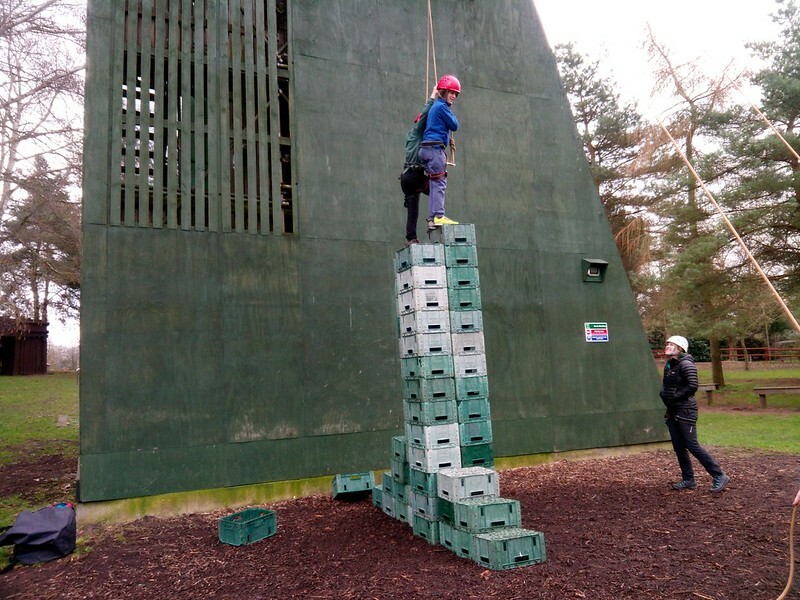 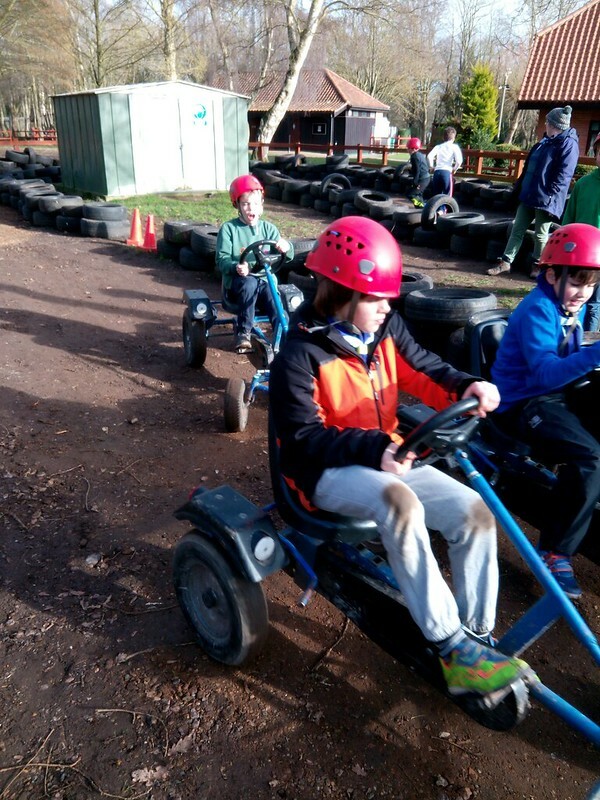 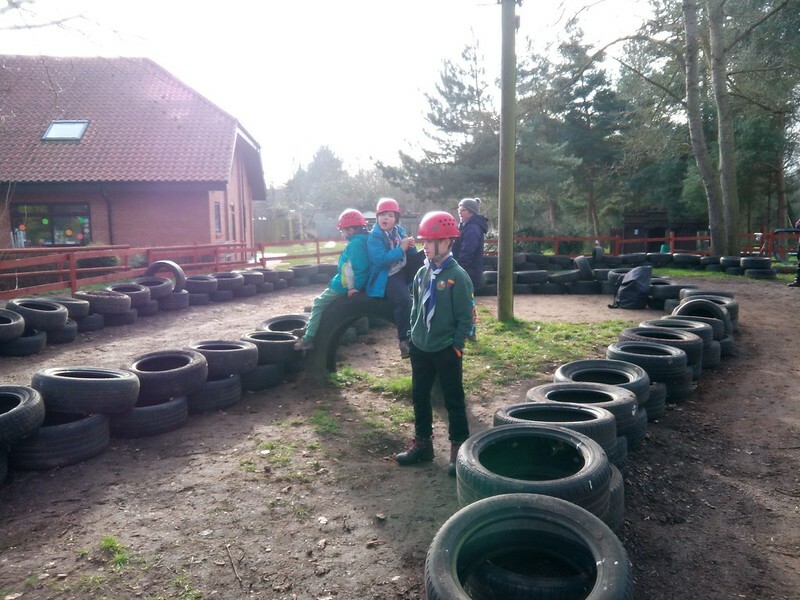 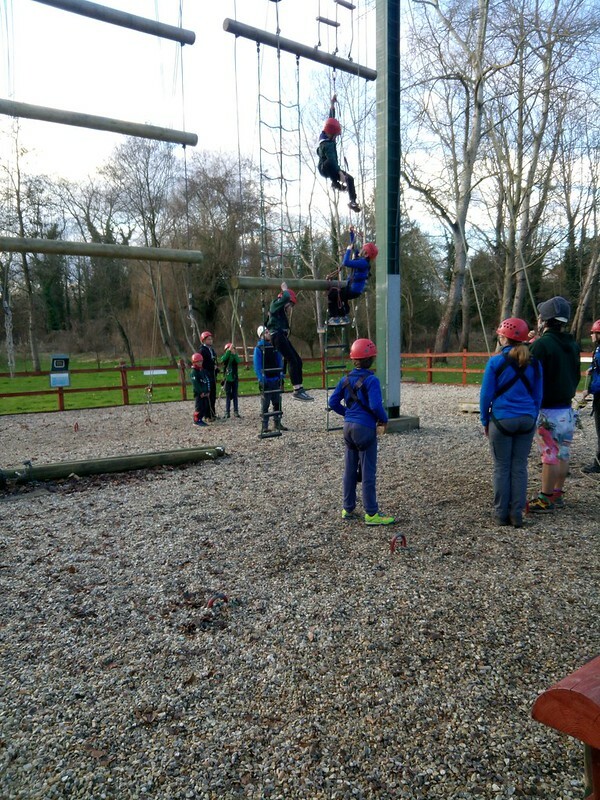 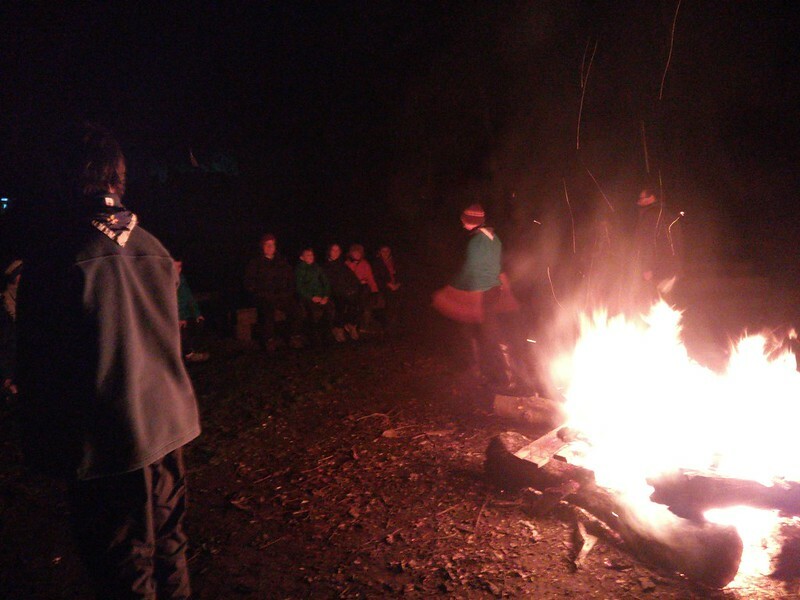 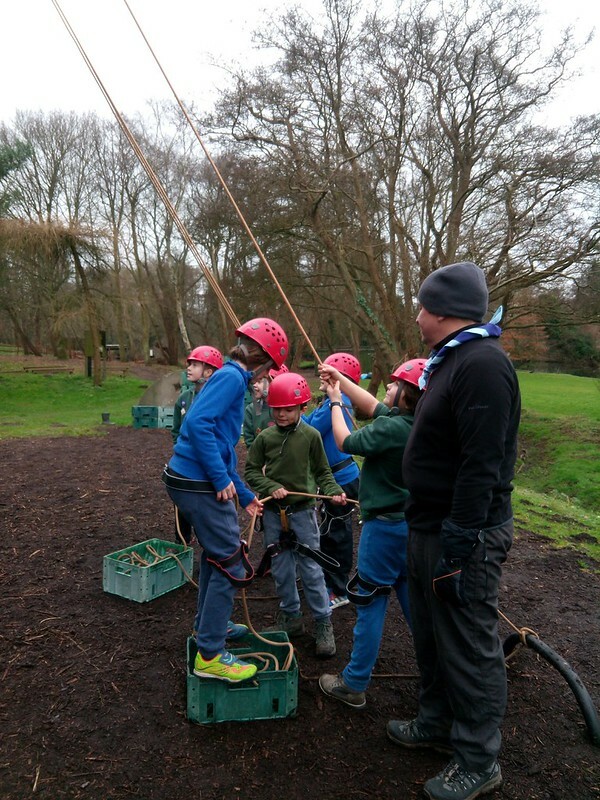 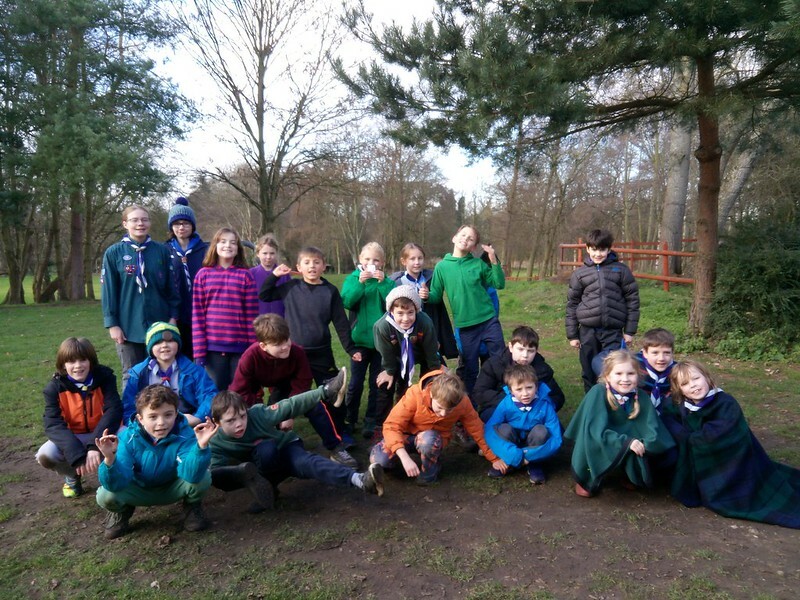 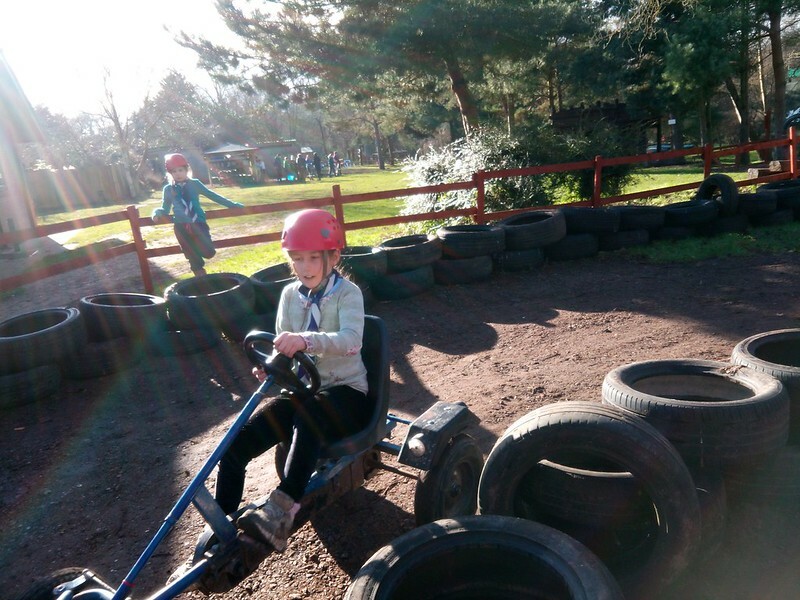 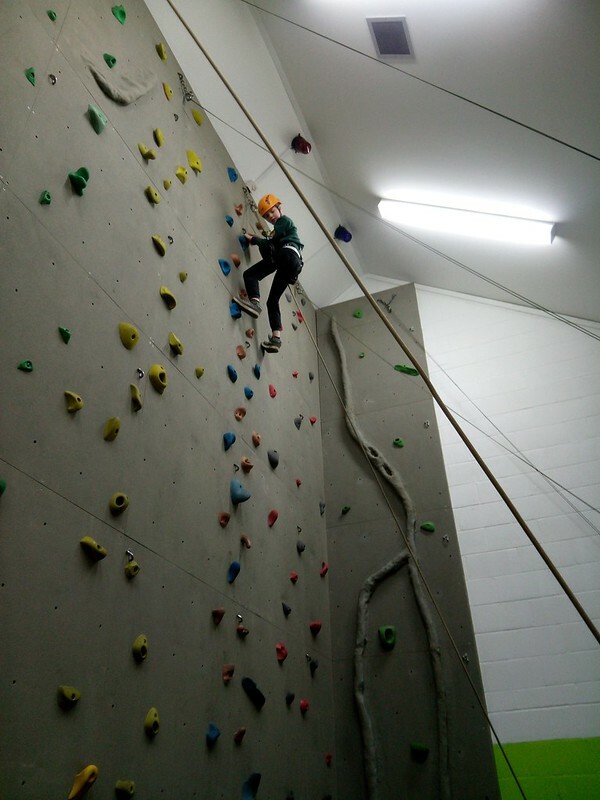 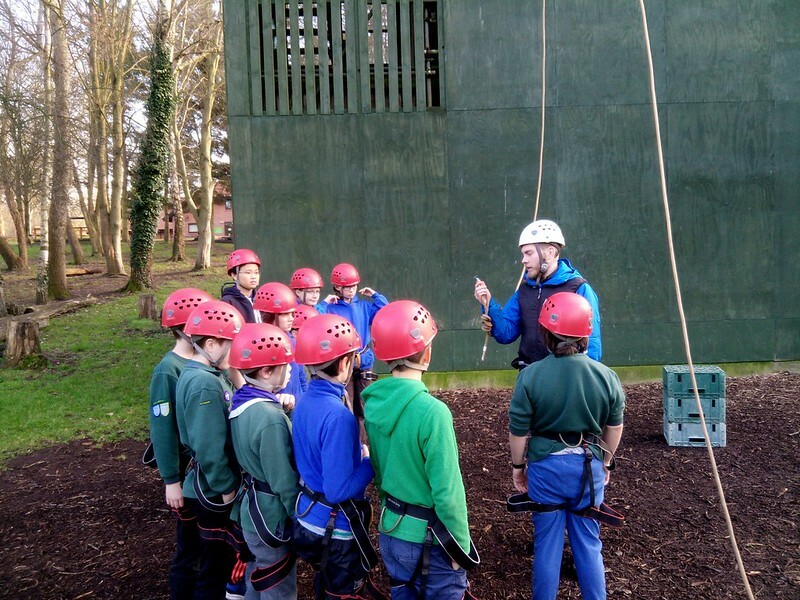 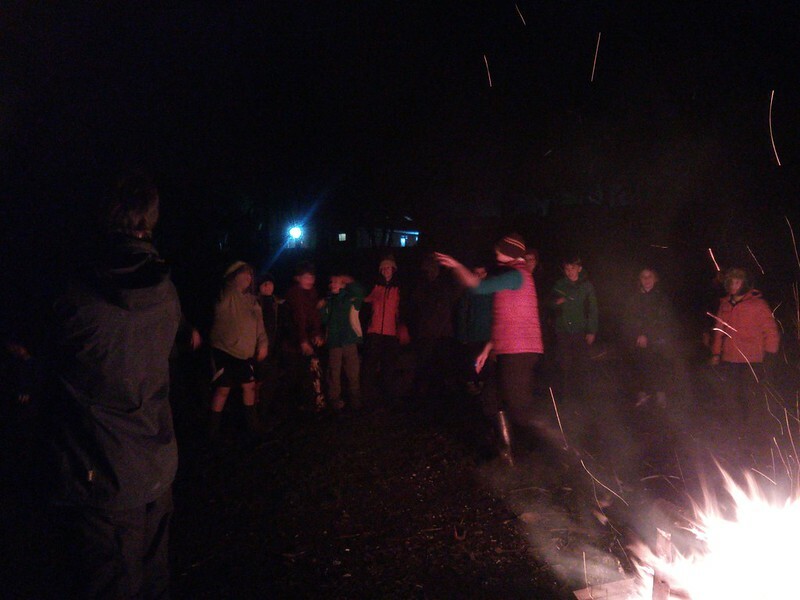 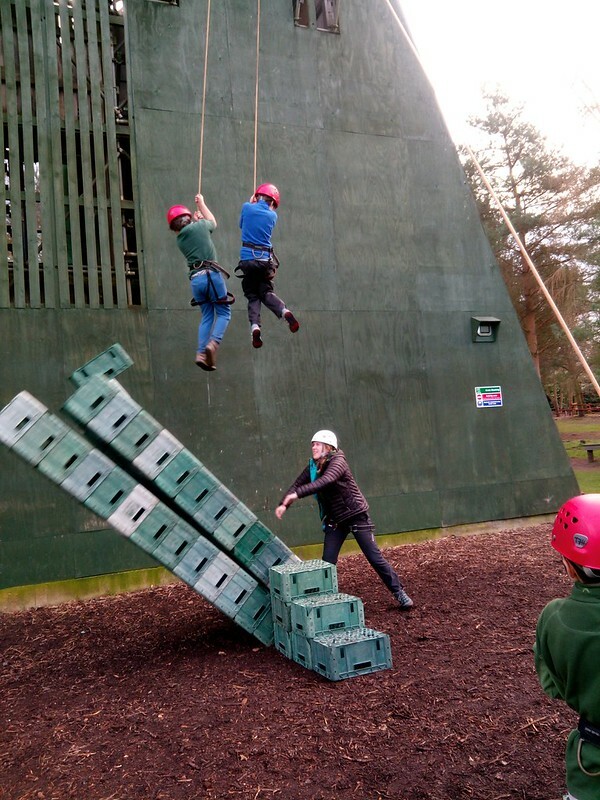 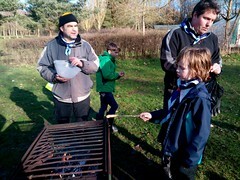 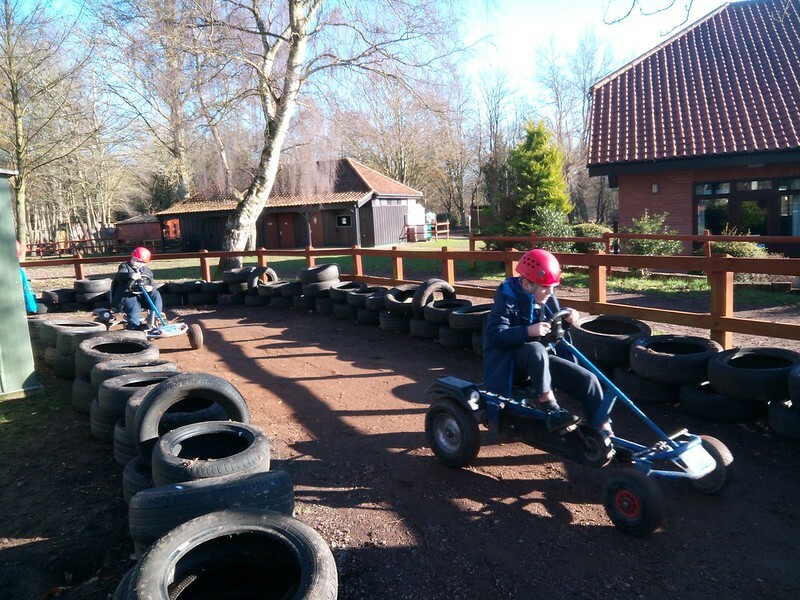 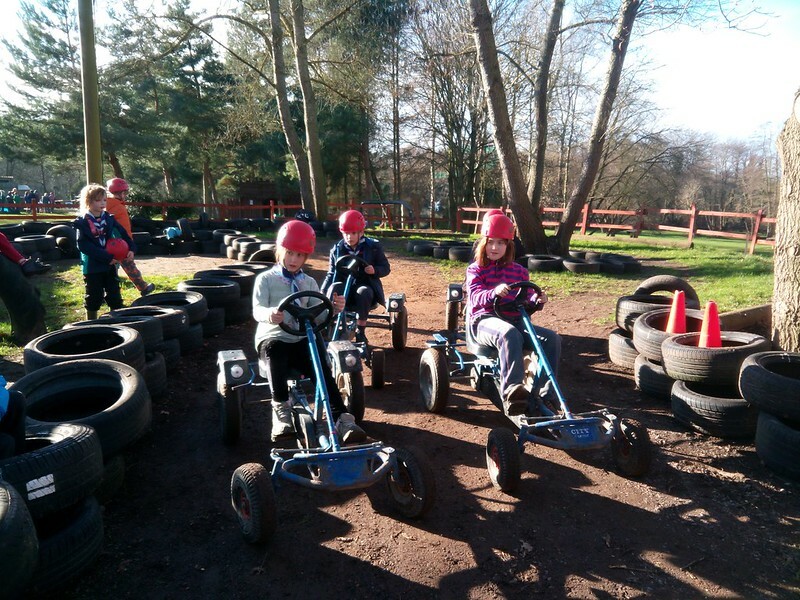 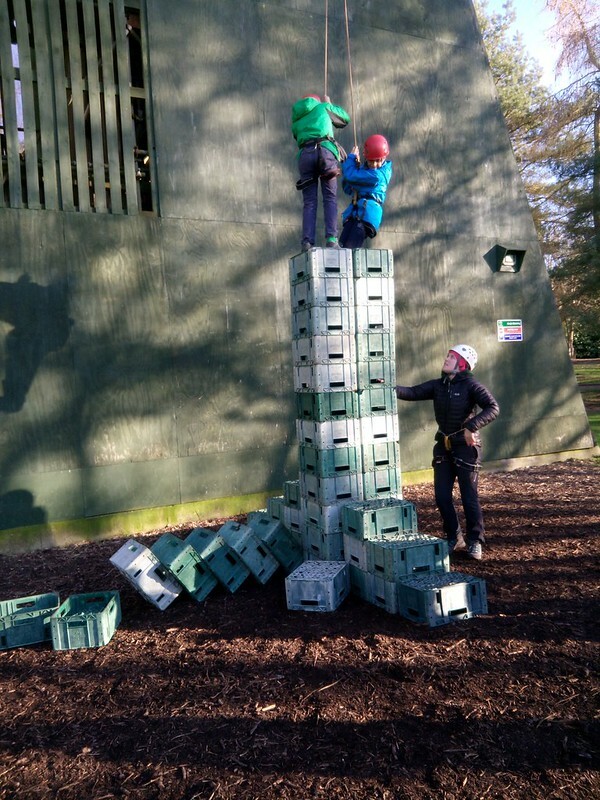 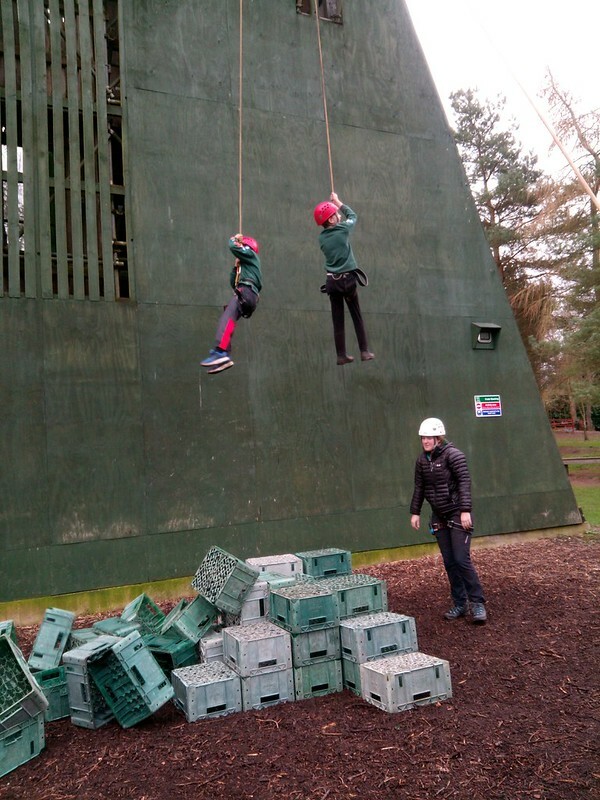 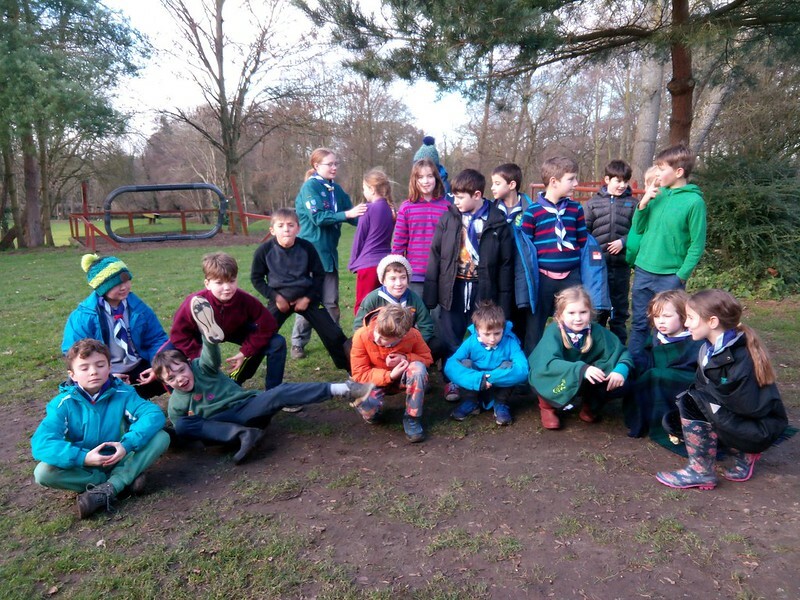 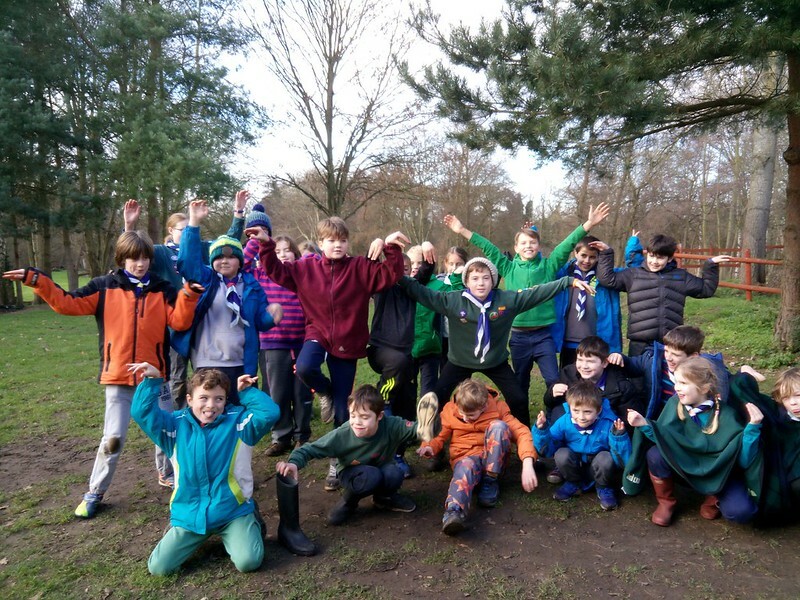 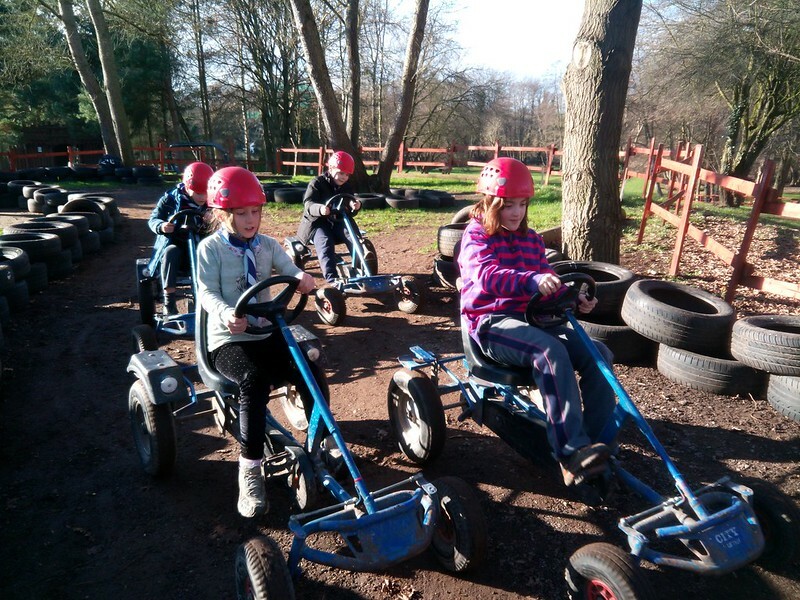 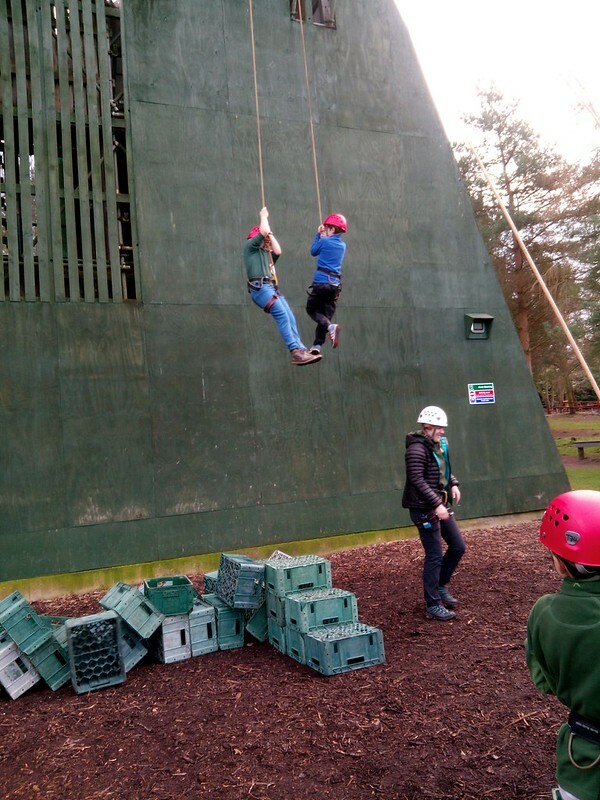 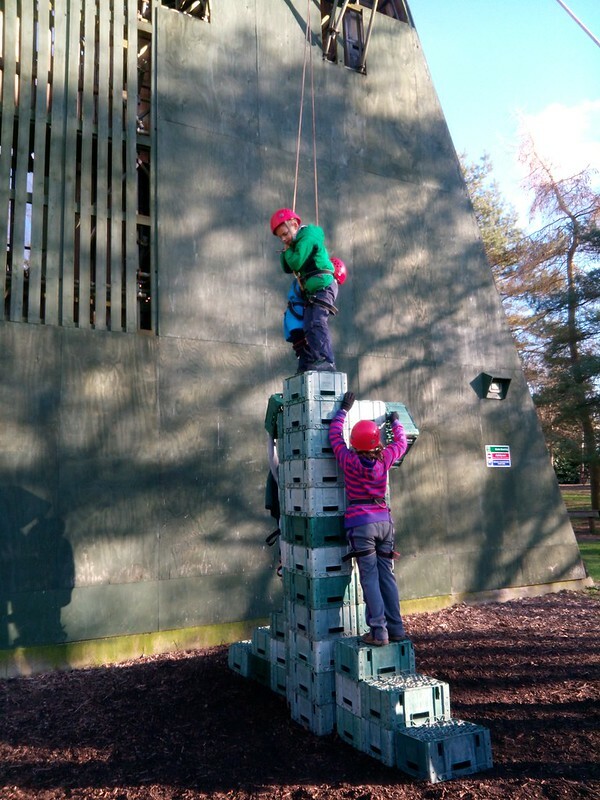 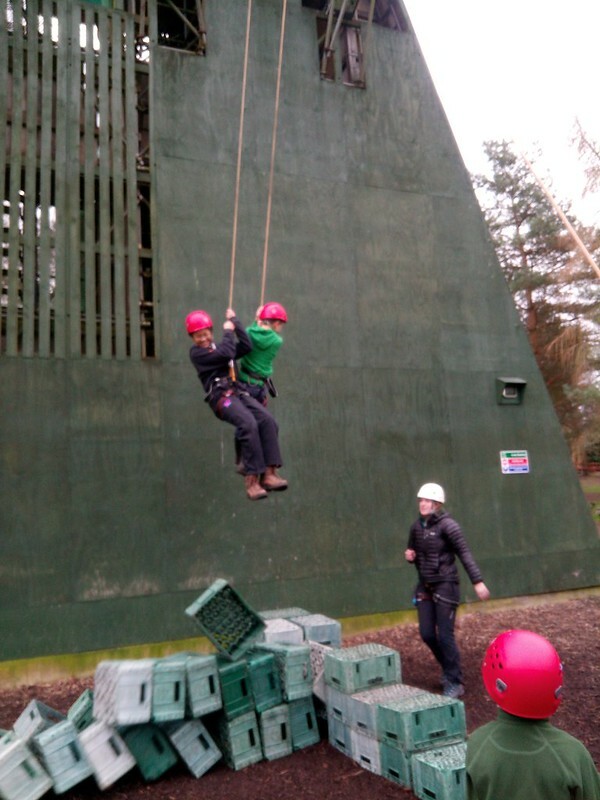 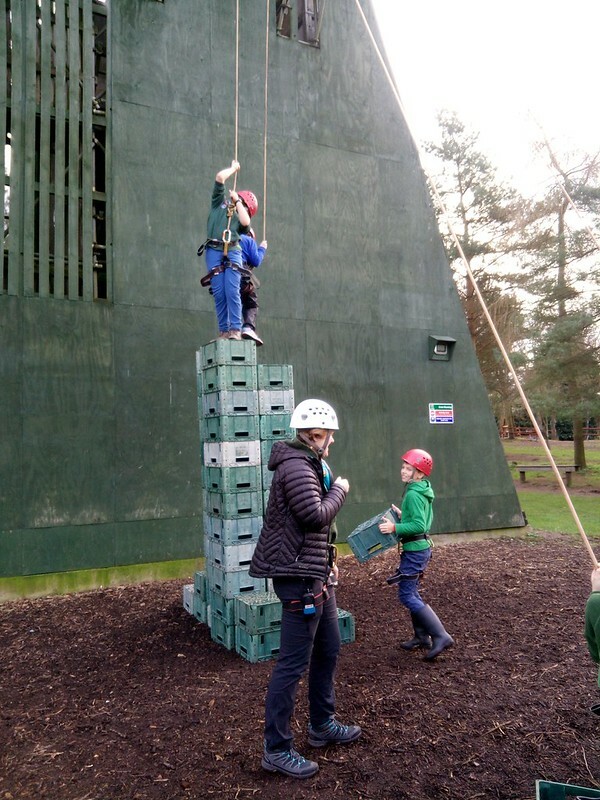 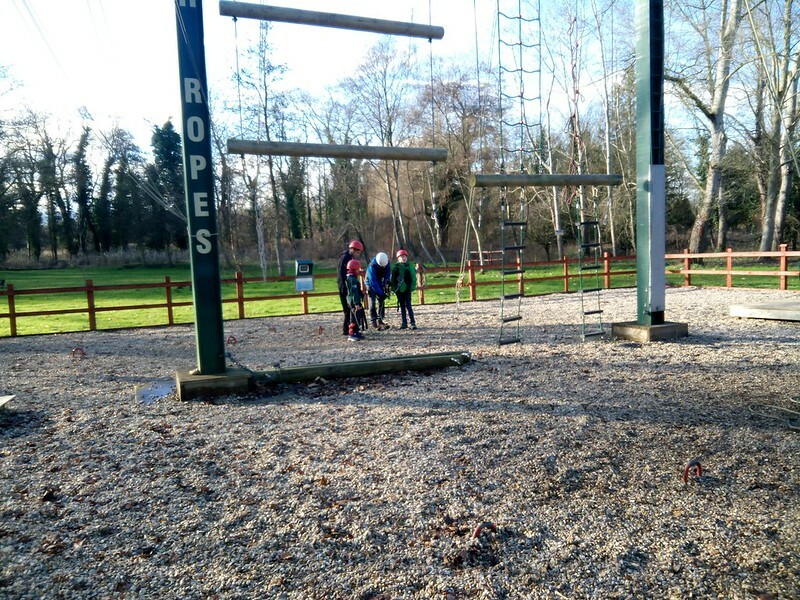 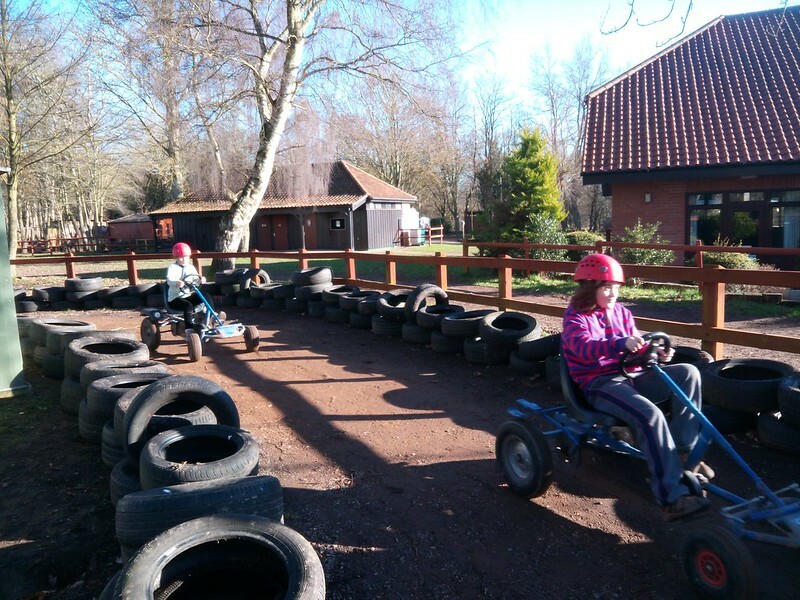 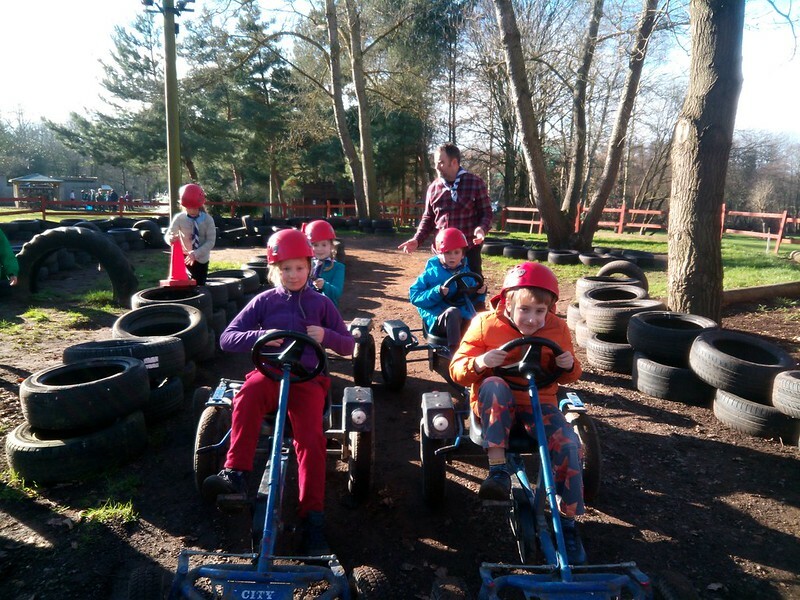 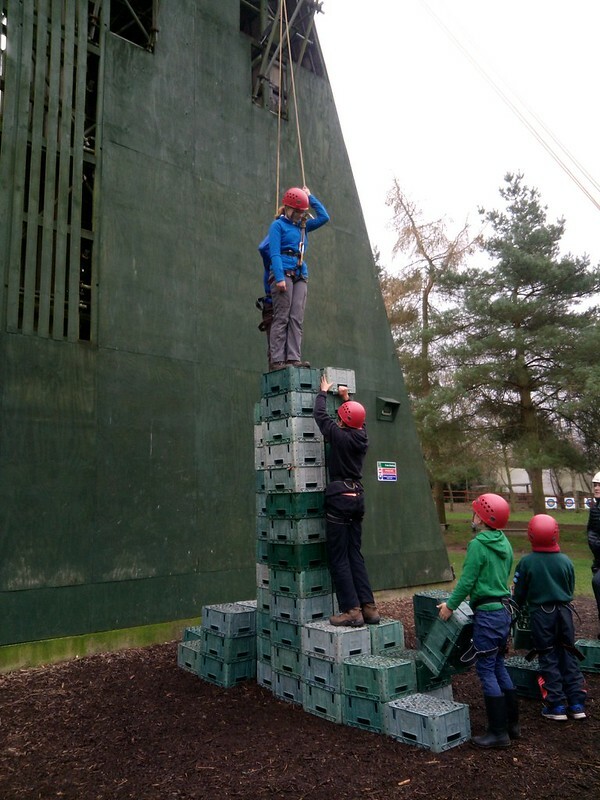 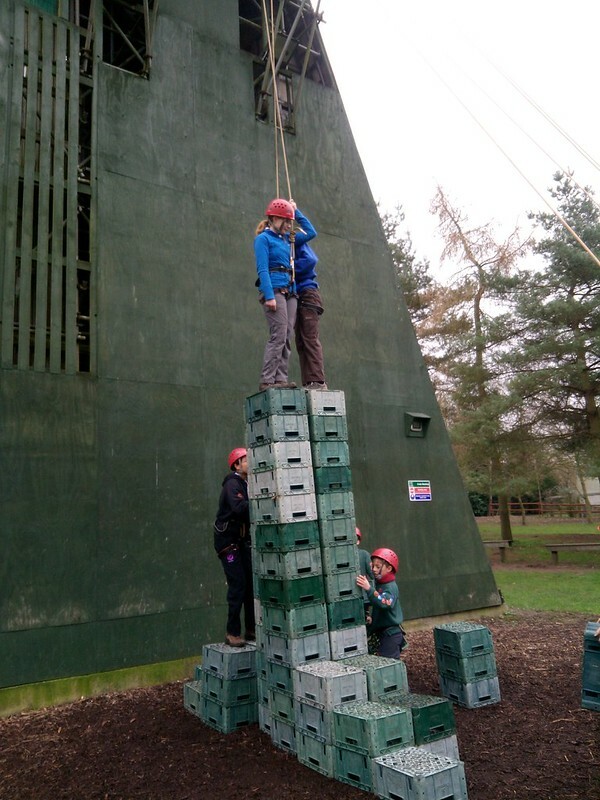 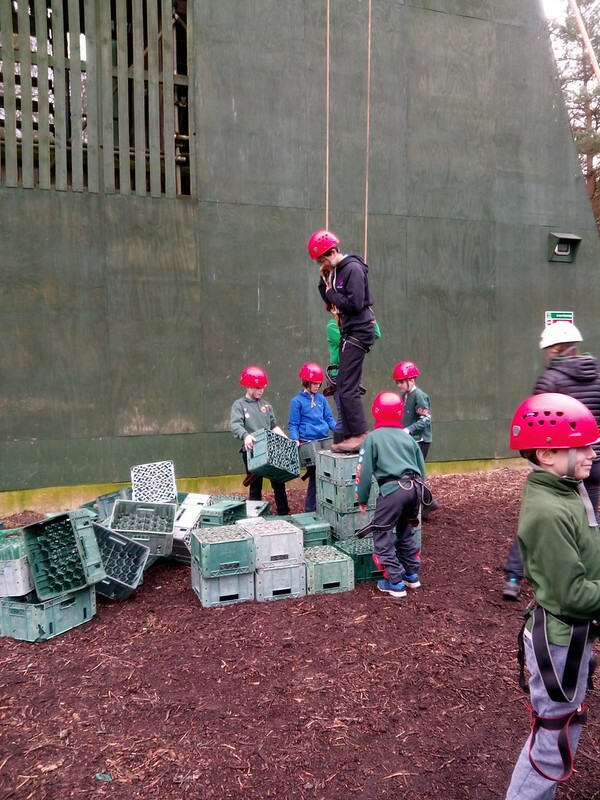 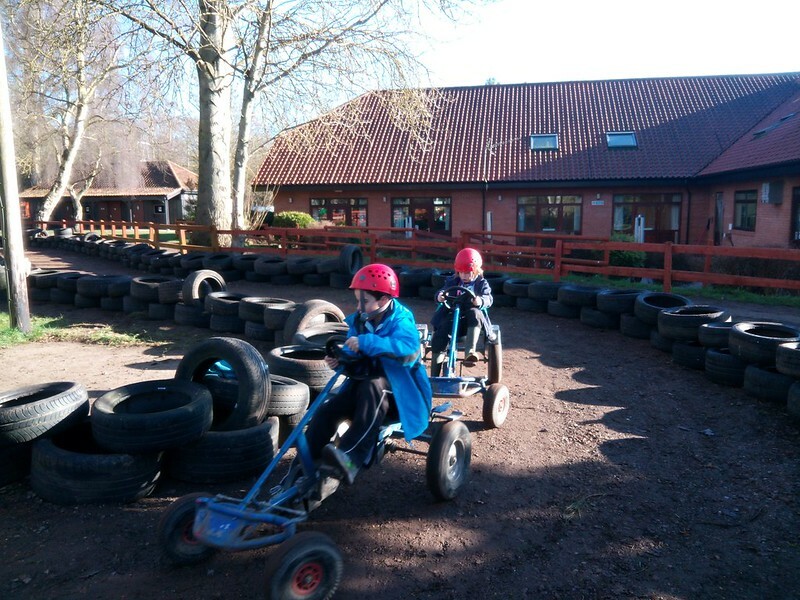 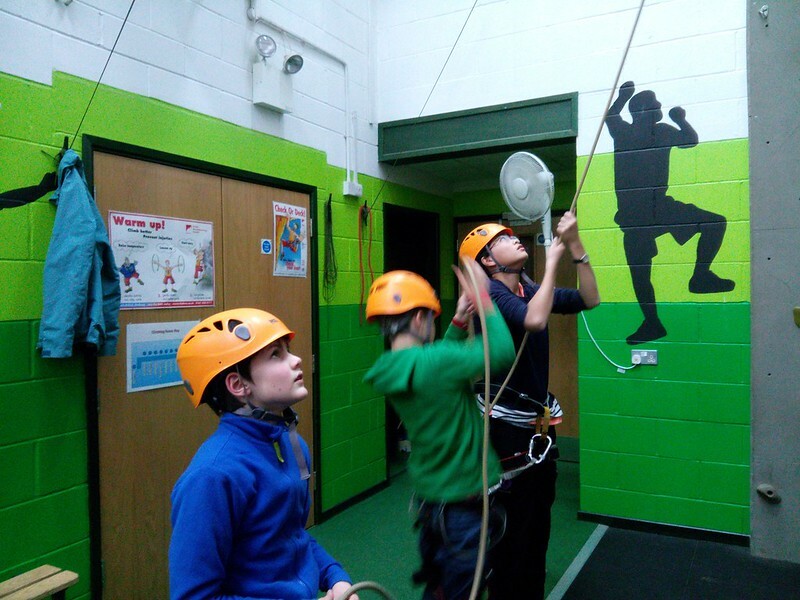 It was the last weekend in January, and what better place to be than Eaton Vale Scout and Guide Activity Centre as part of the 12th Cambridge cub pack. 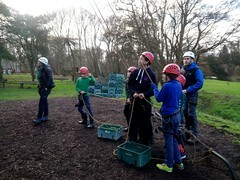 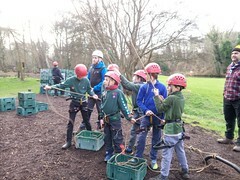 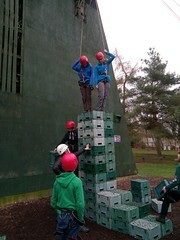 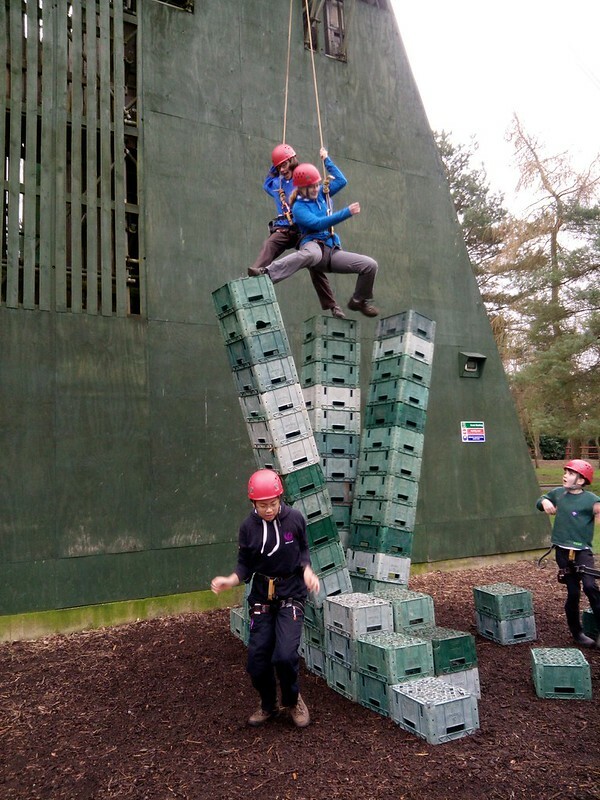 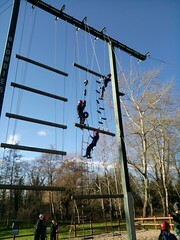 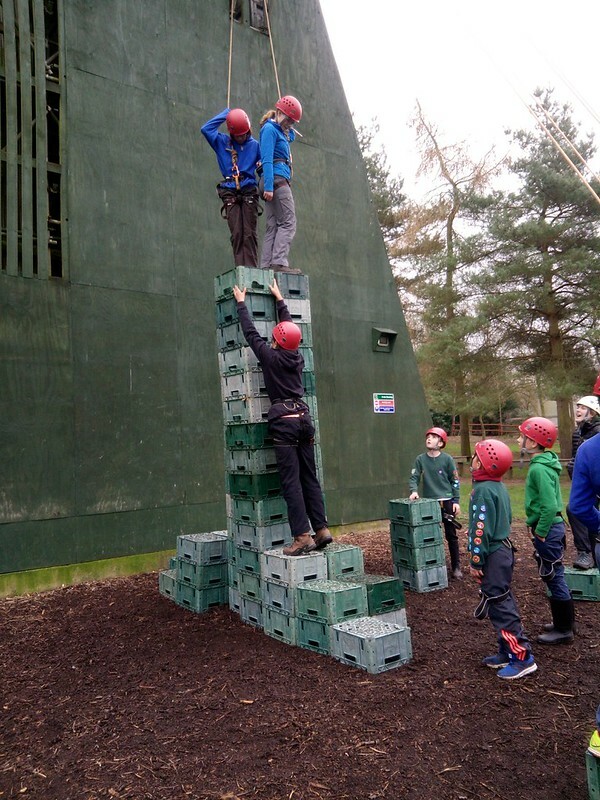 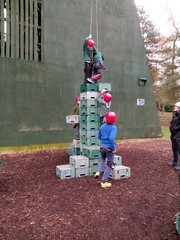 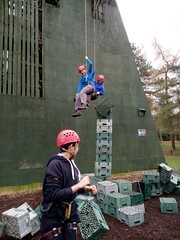 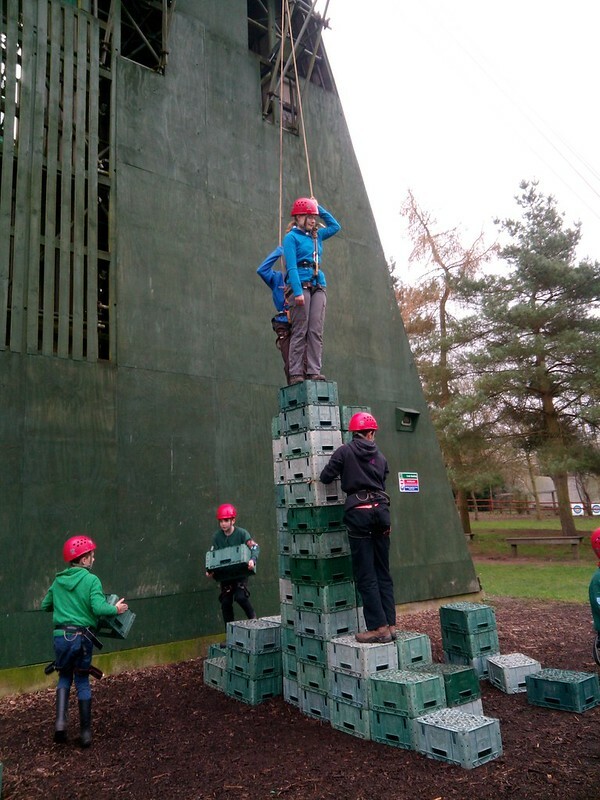 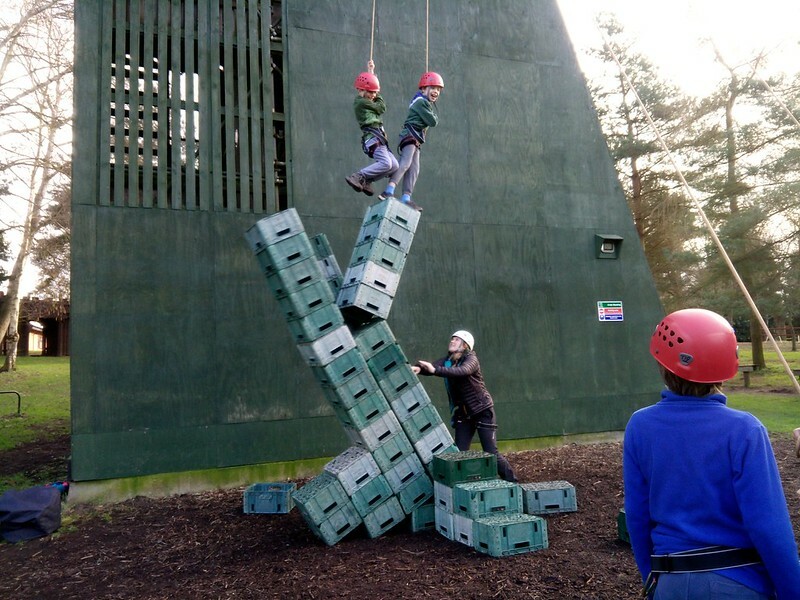 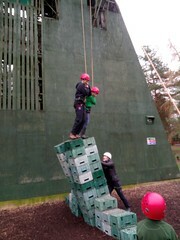 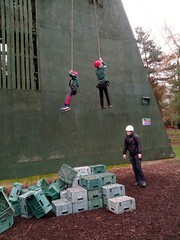 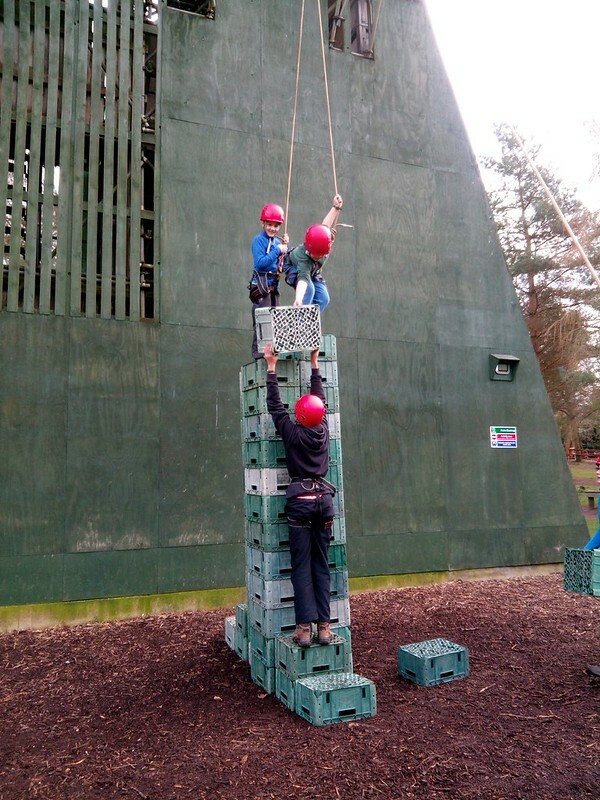 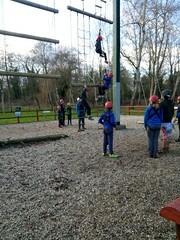 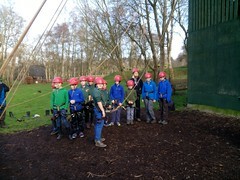 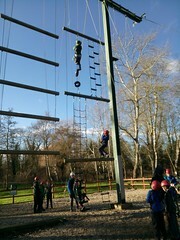 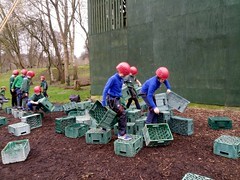 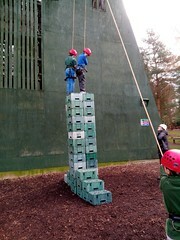 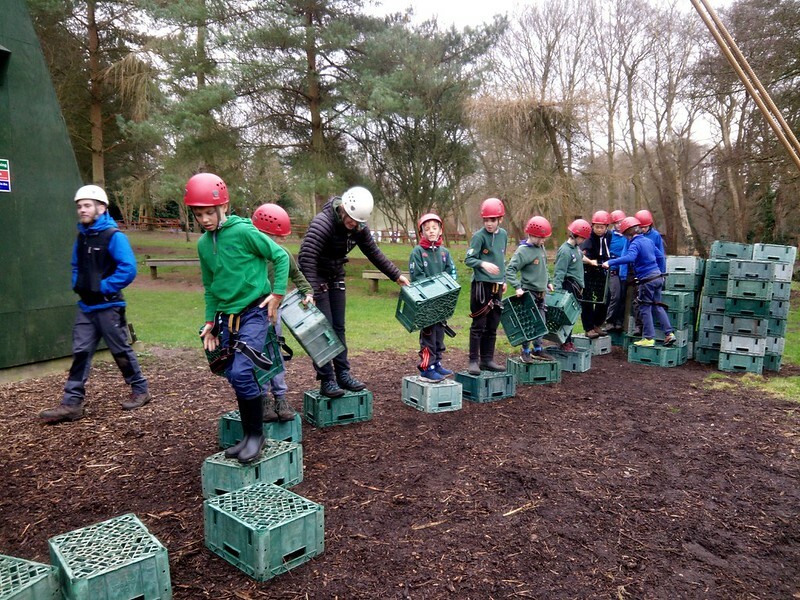 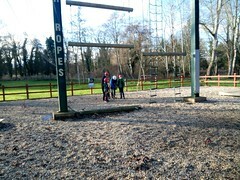 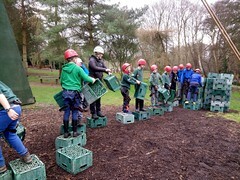 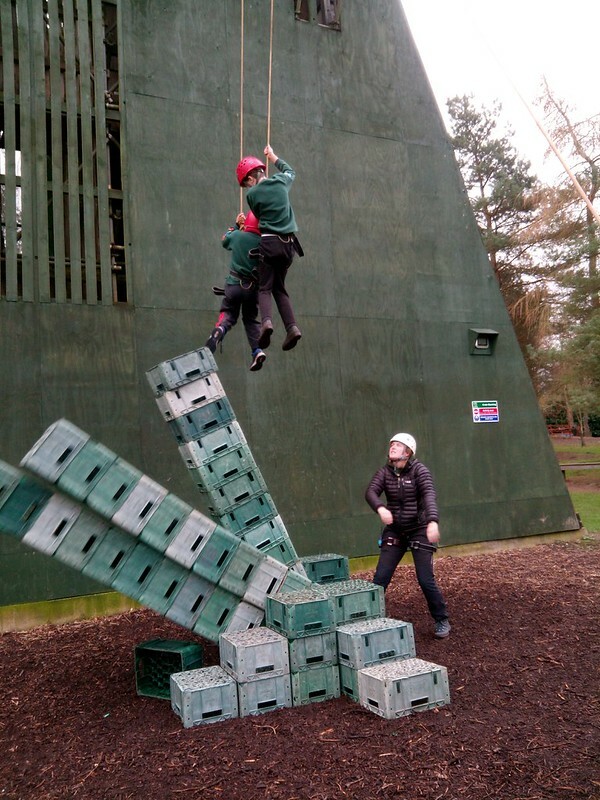 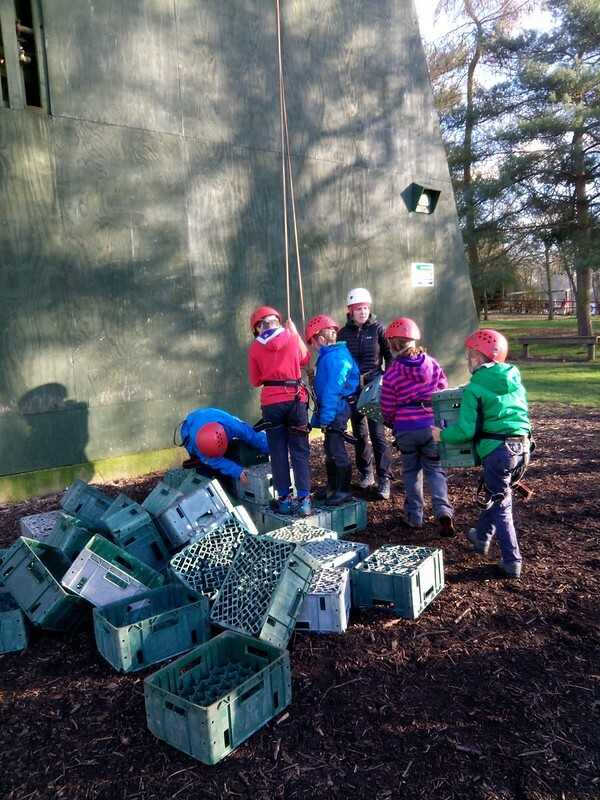 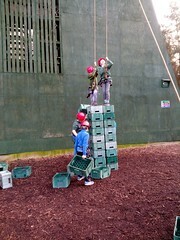 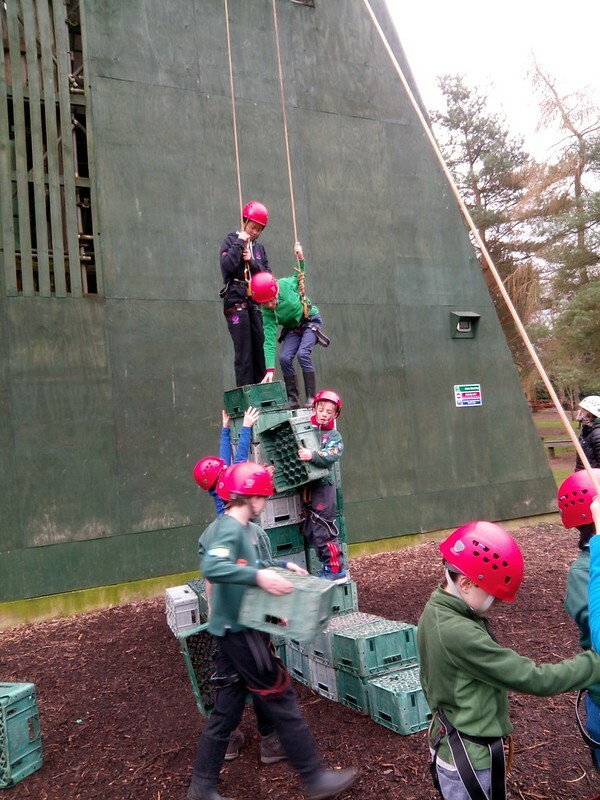 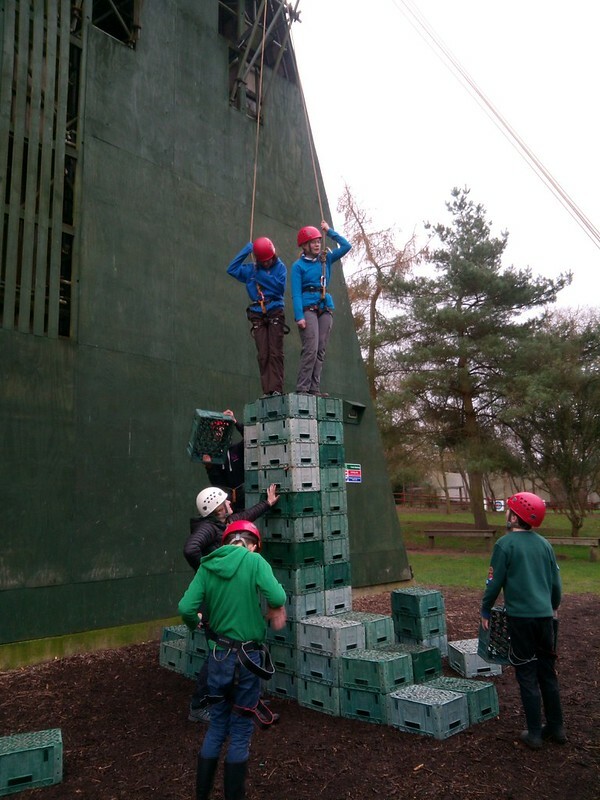 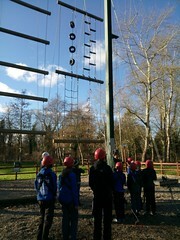 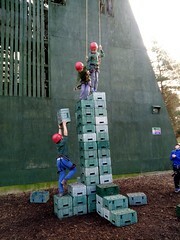 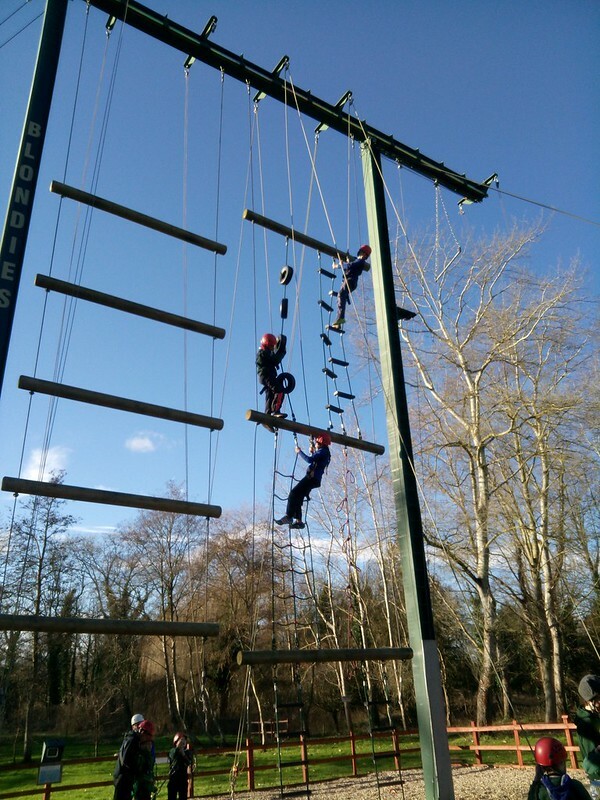 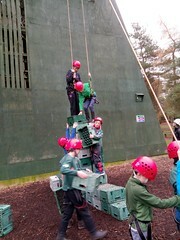 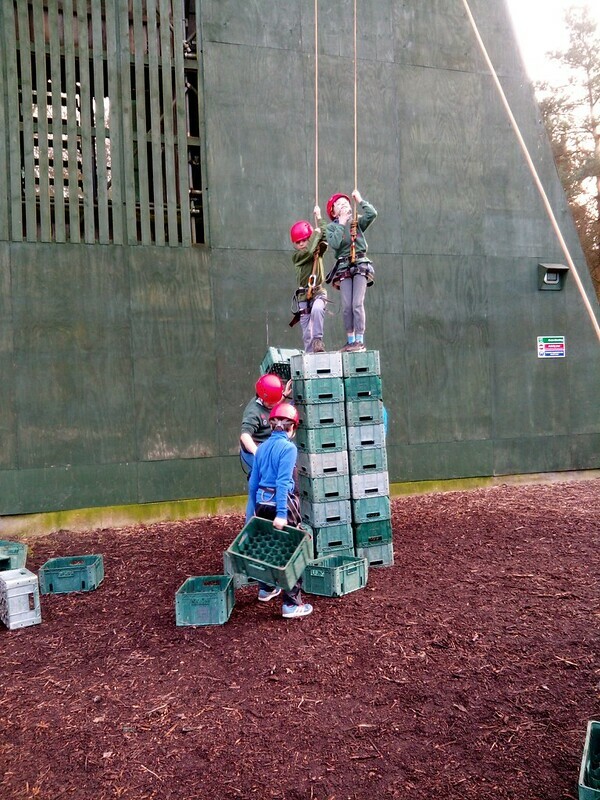 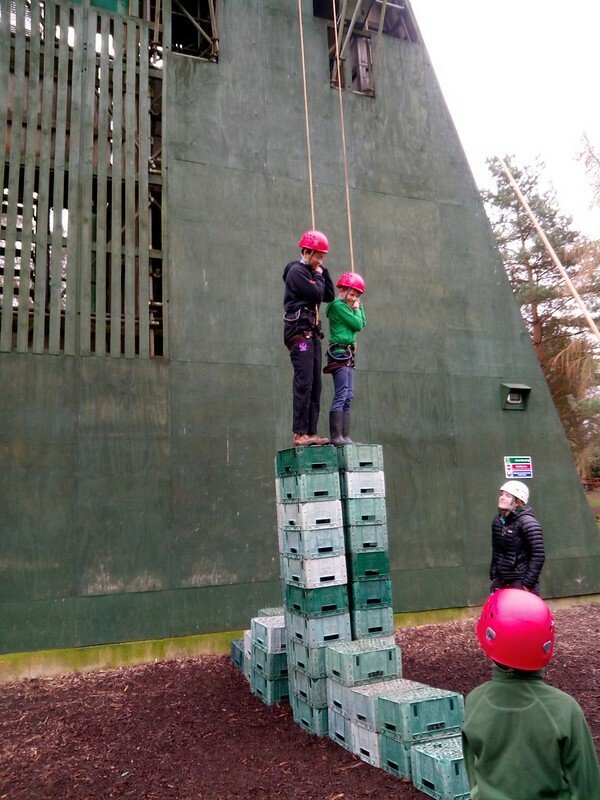 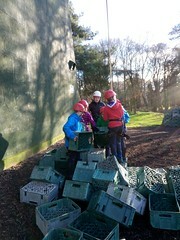 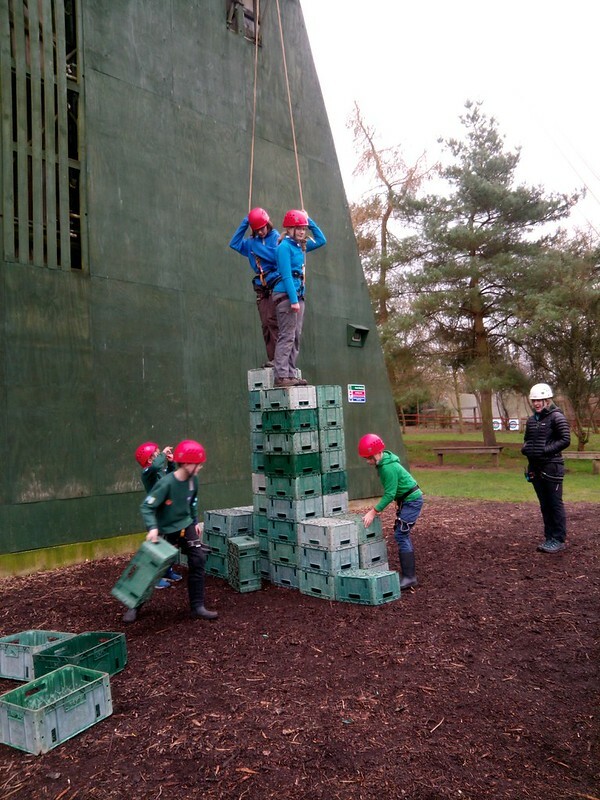 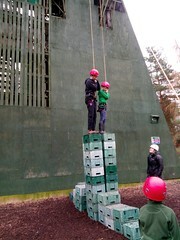 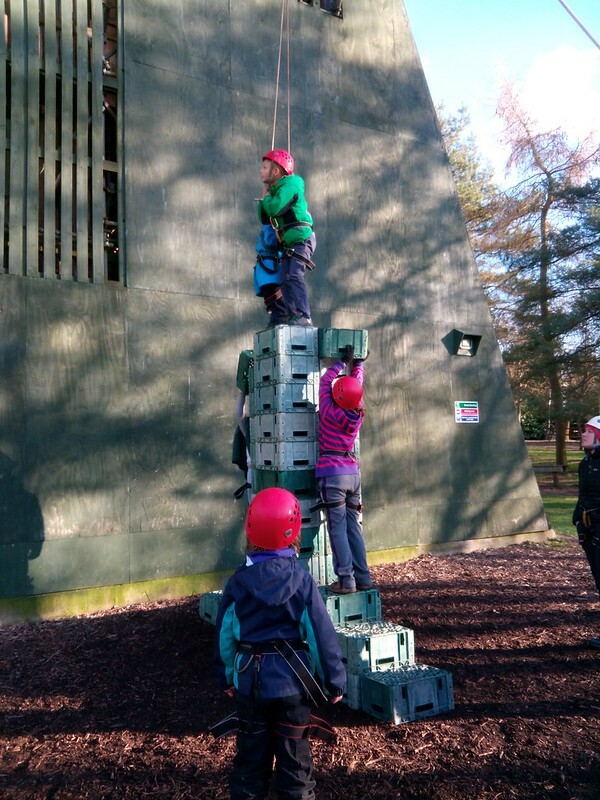 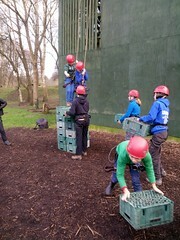 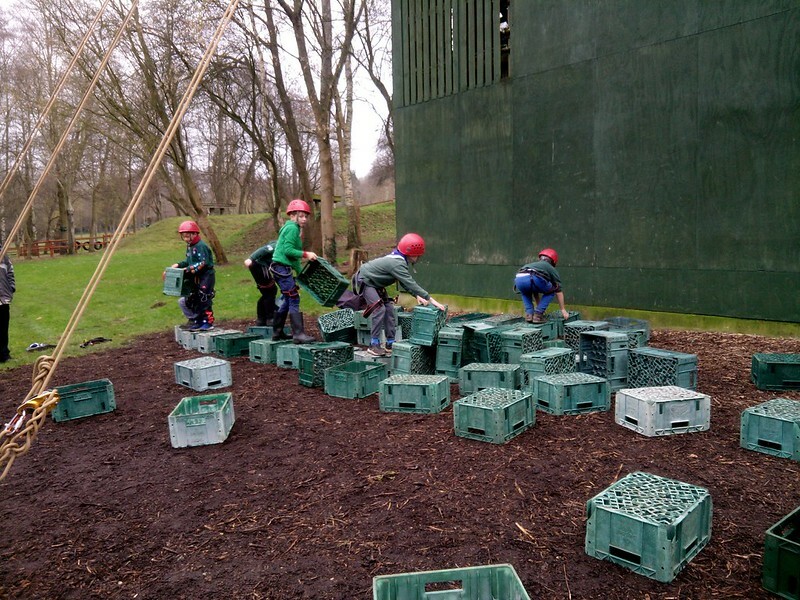 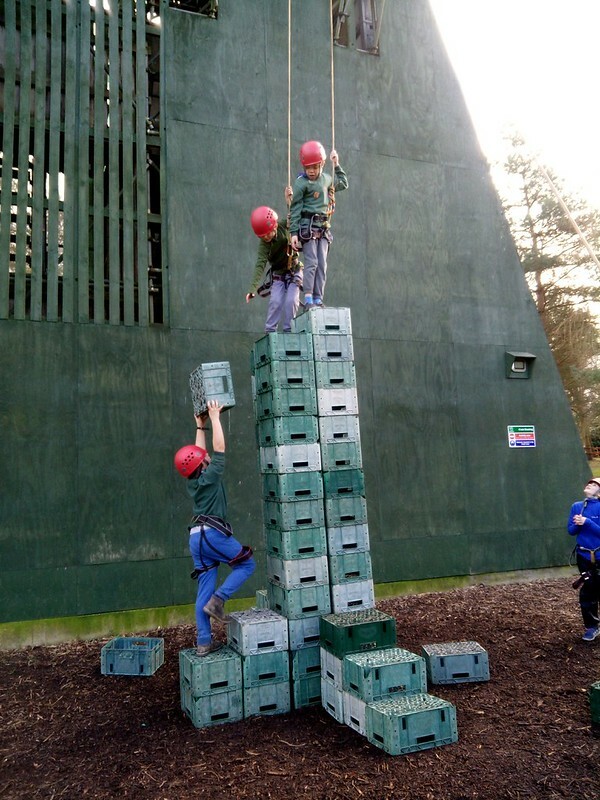 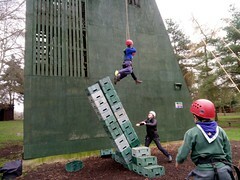 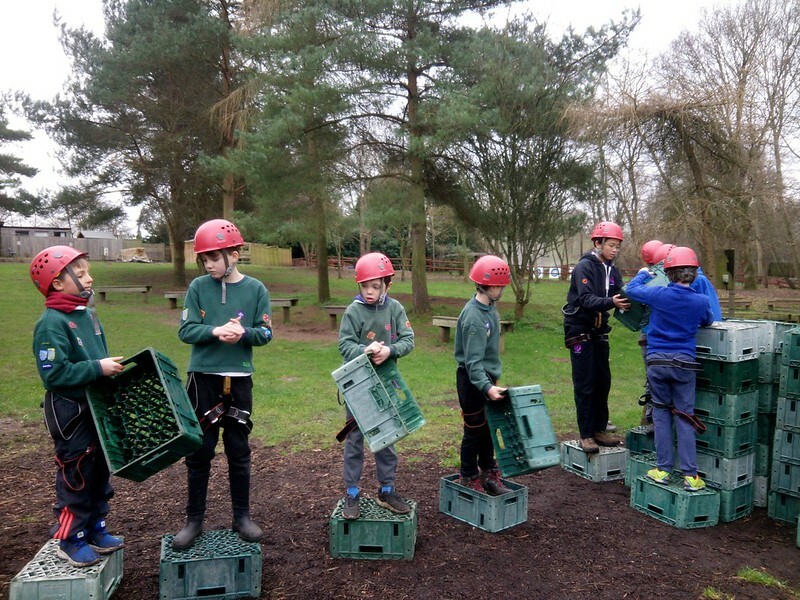 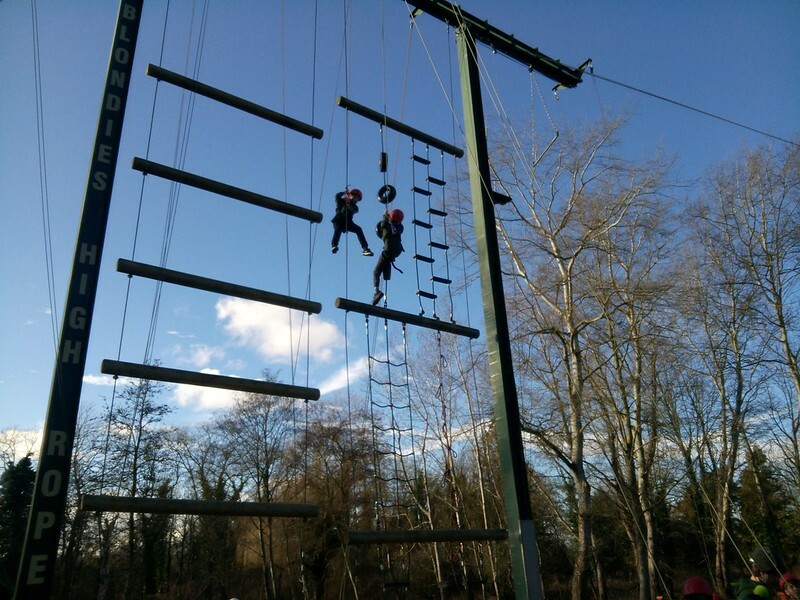 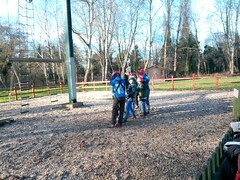 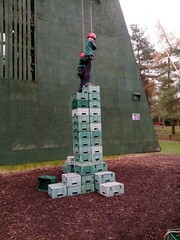 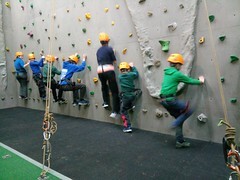 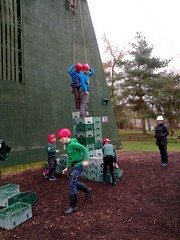 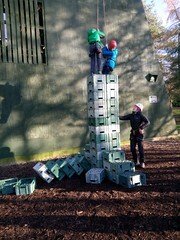 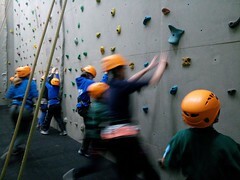 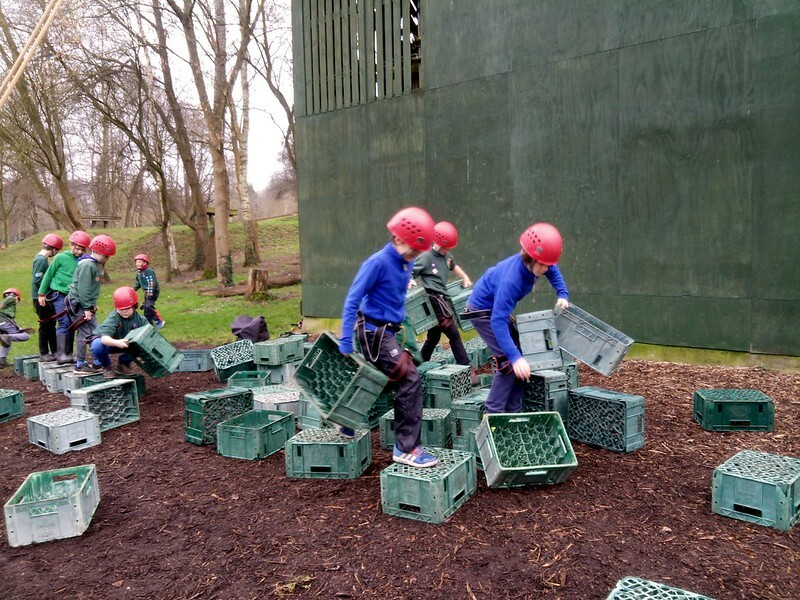 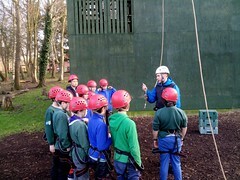 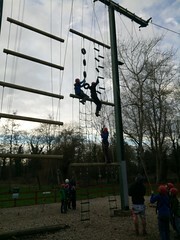 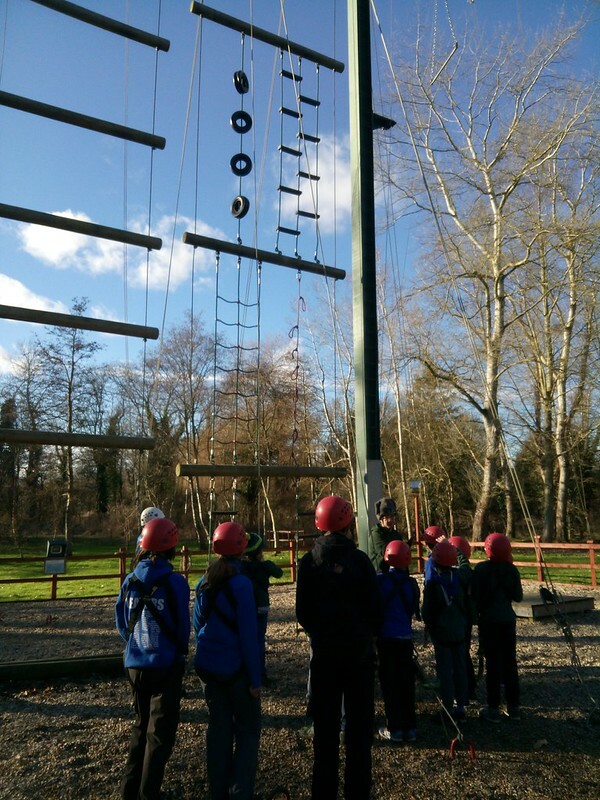 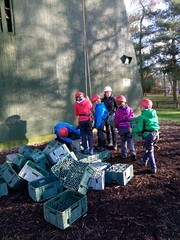 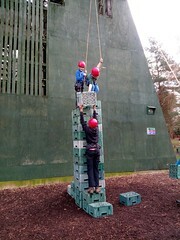 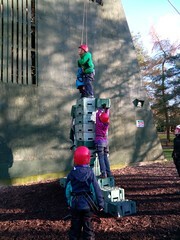 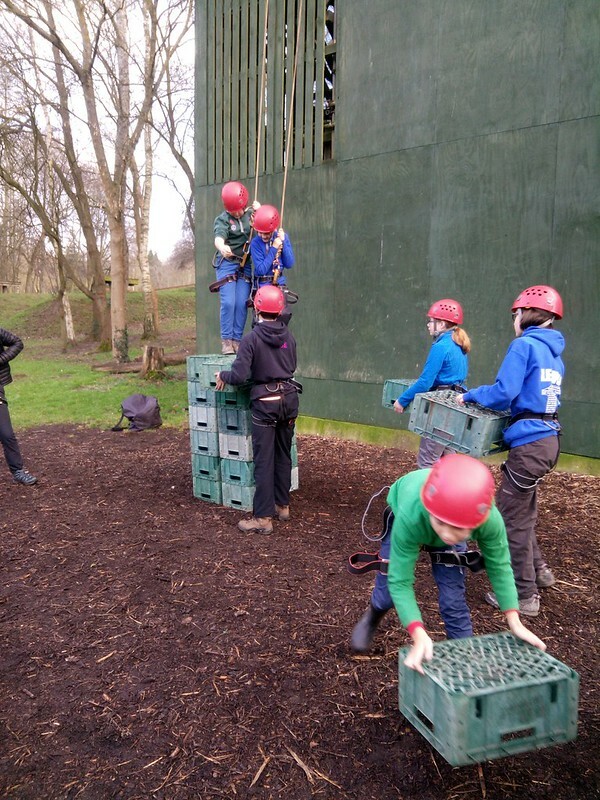 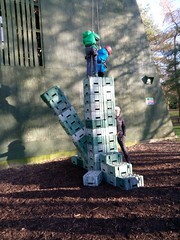 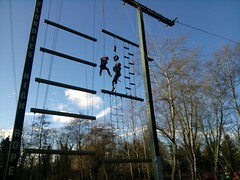 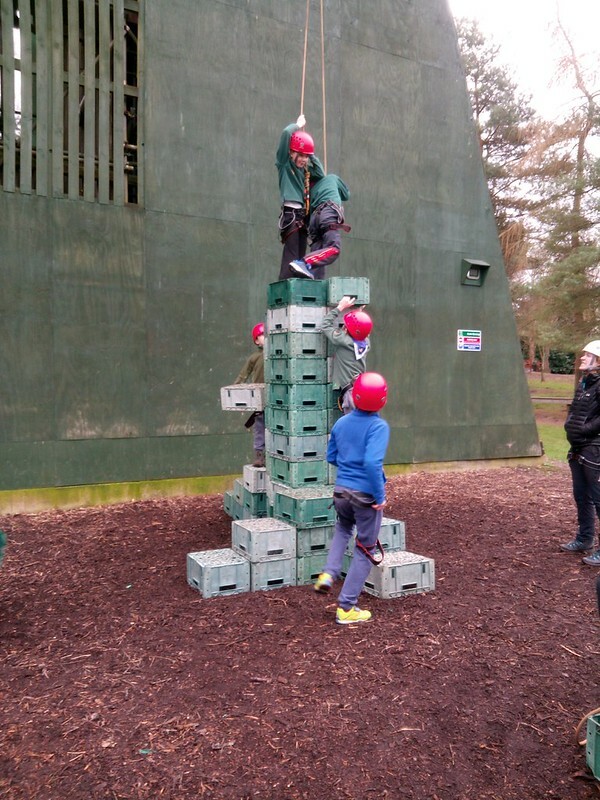 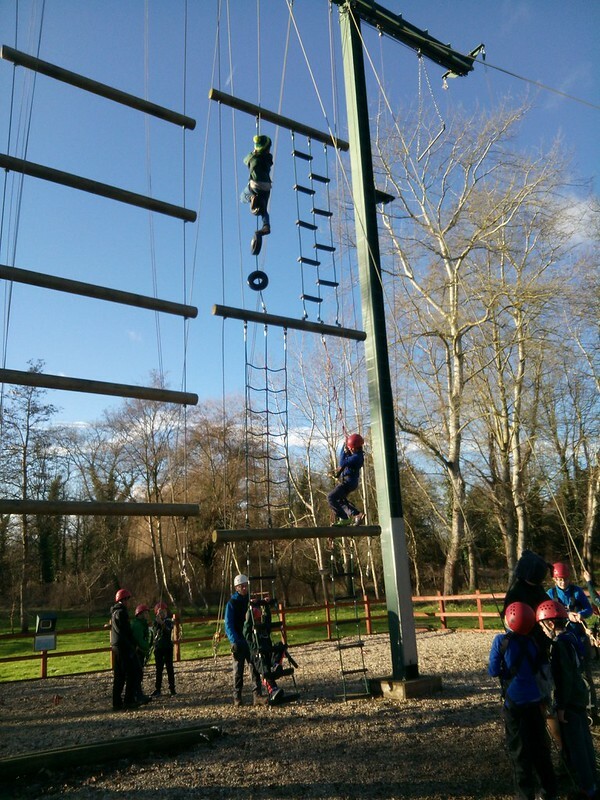 The weather was kind to us and we were able to enjoy crate stacking, high ropes course (pretty challenging! 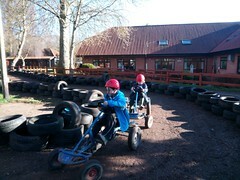 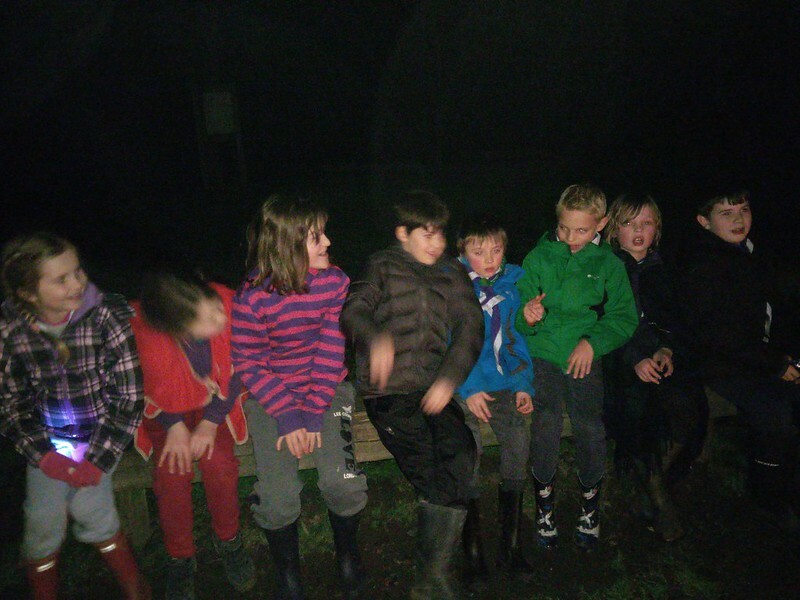 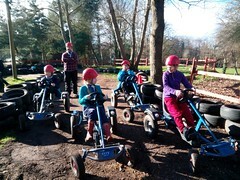 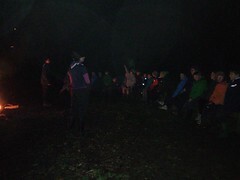 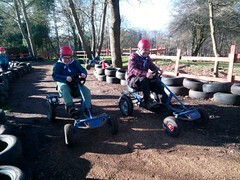 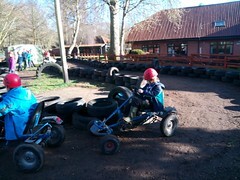 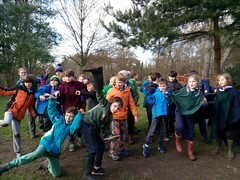 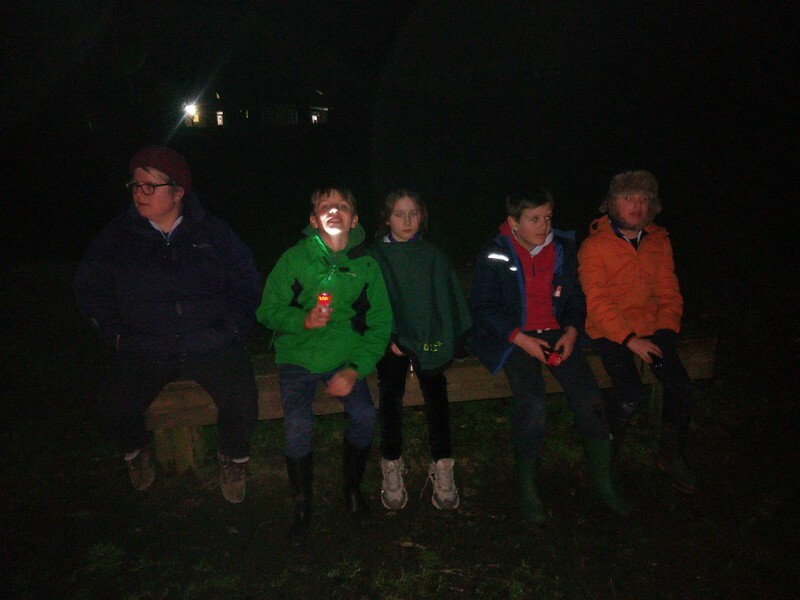 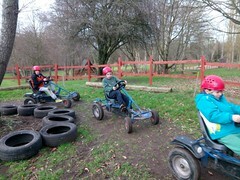 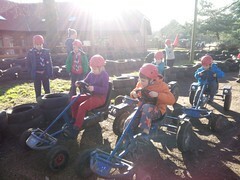 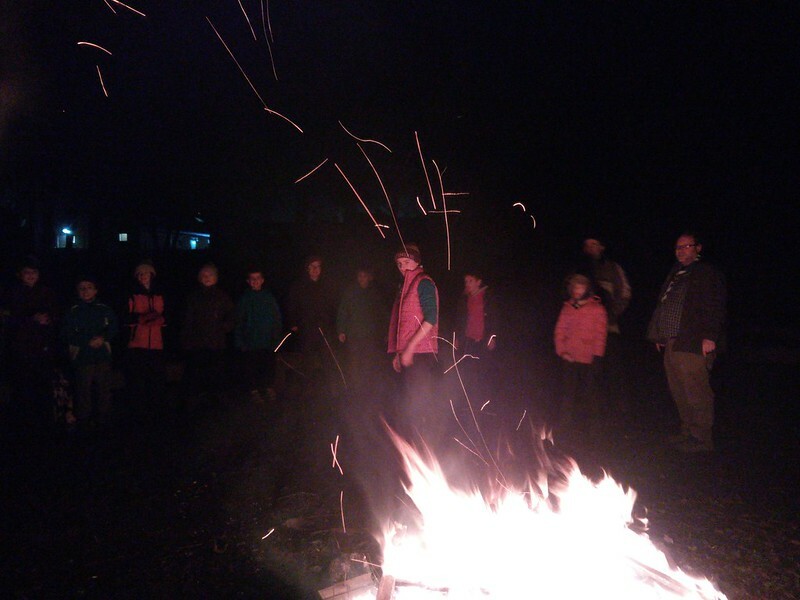 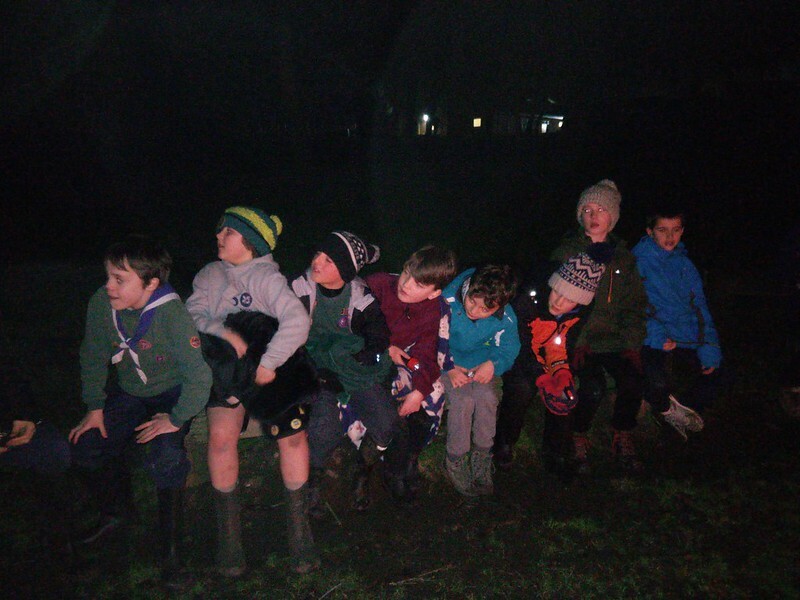 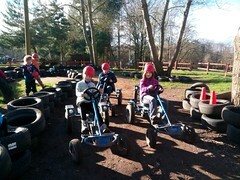 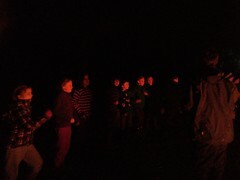 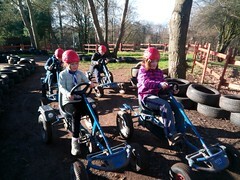 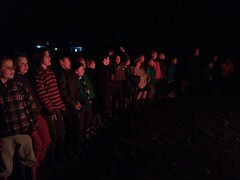 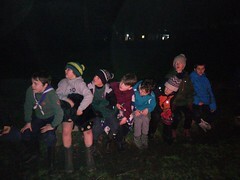 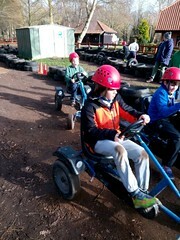 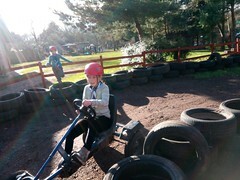 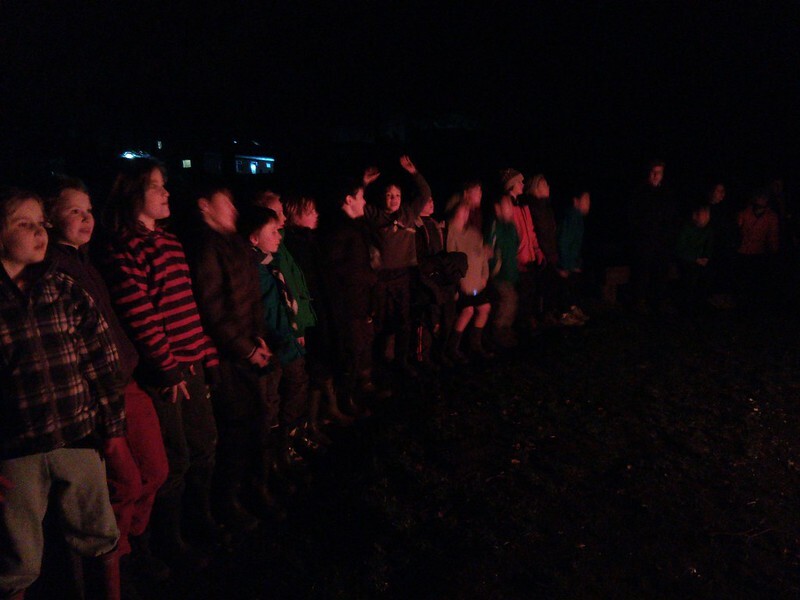 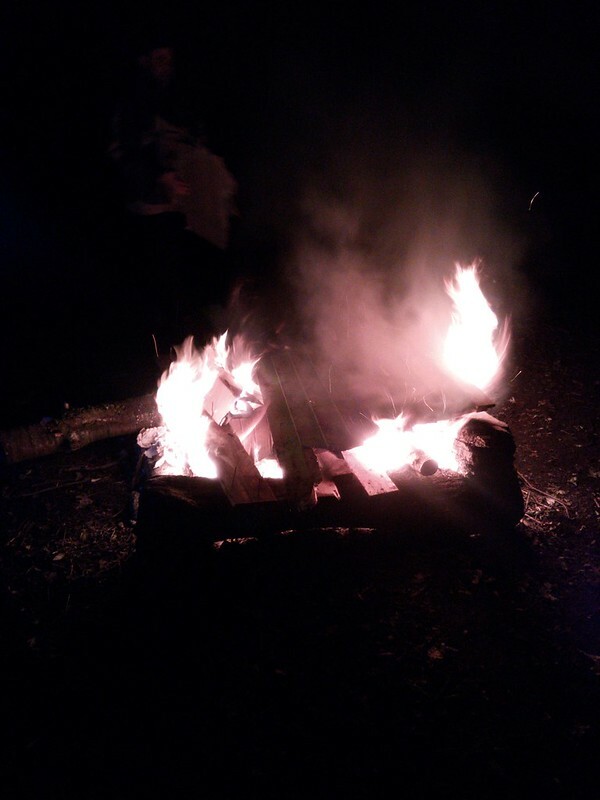 ), catapult pioneering and pedal car racing without getting wet at all – and everyone was in fine voice for the campfire. We enjoyed delicious food, courtesy of Mang and Shada, and ample cake thanks to all. 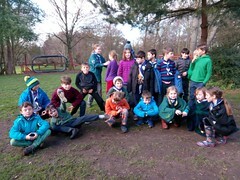 Here, with thanks to Shere Khan, are the photos.